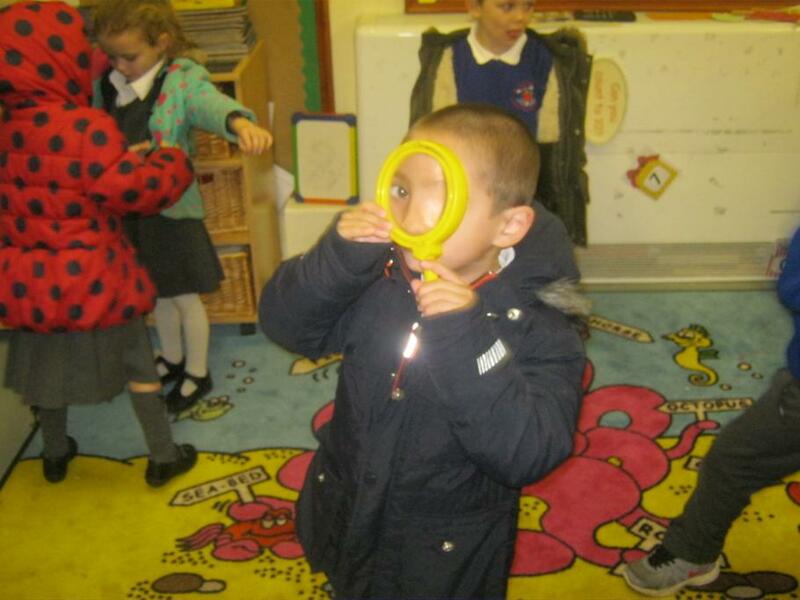 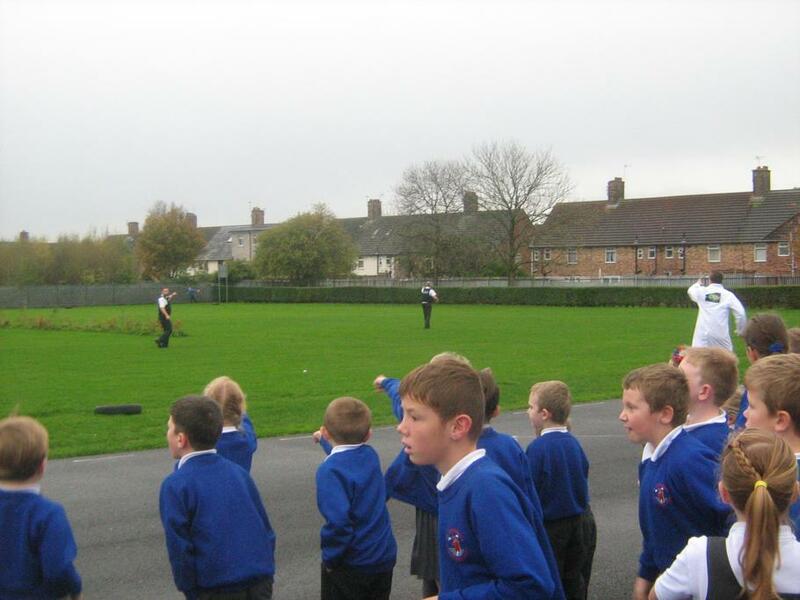 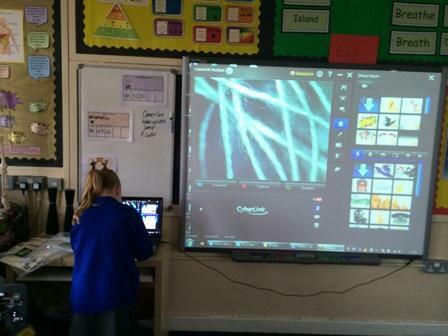 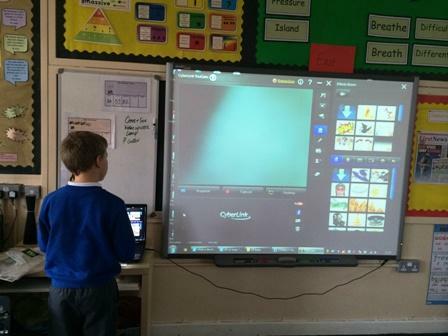 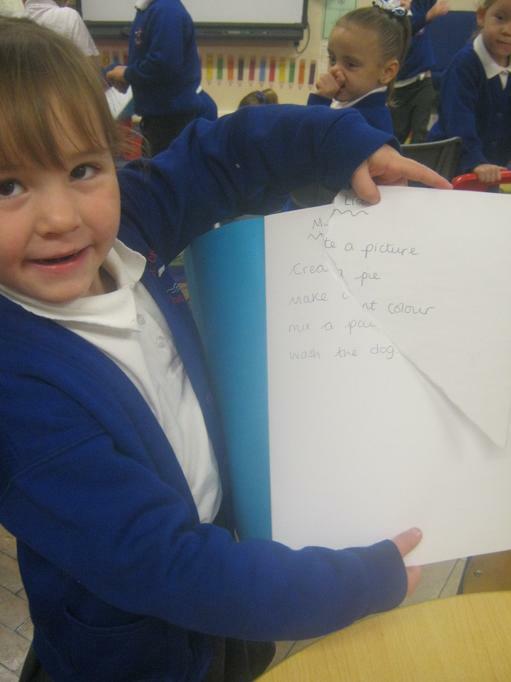 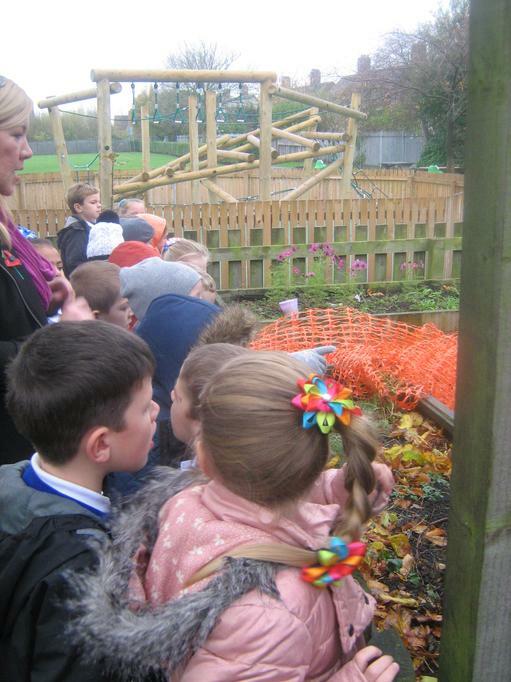 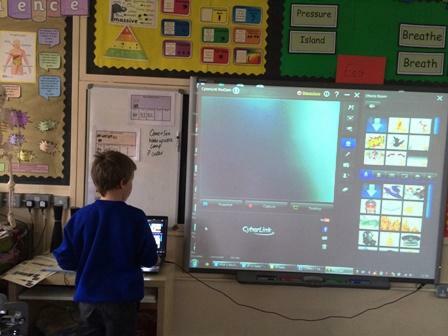 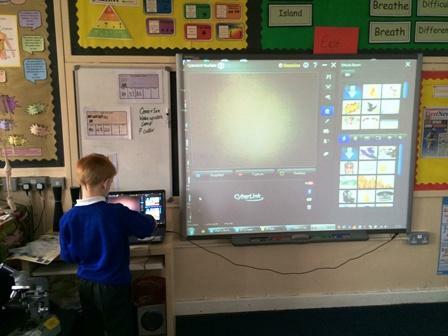 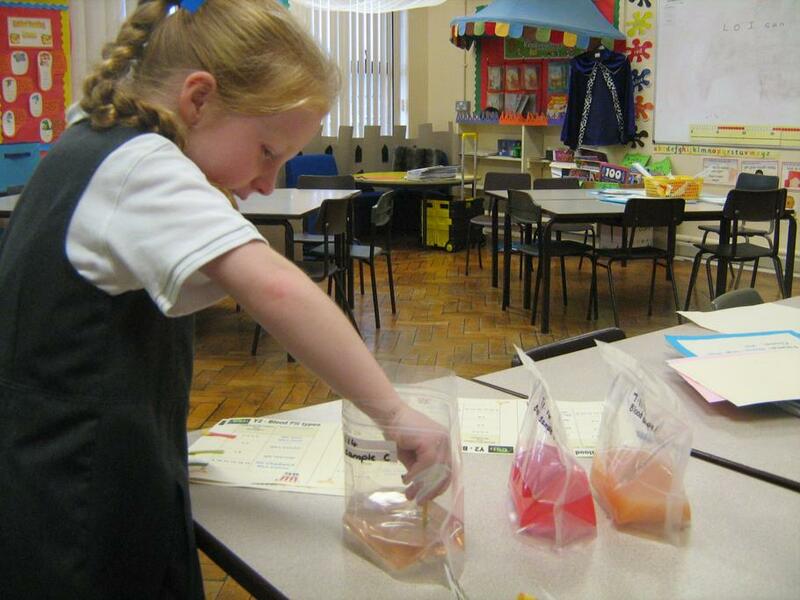 Where possible should be practical and intriguing to ensure pupils natural inquisitiveness is enthused and inspired! 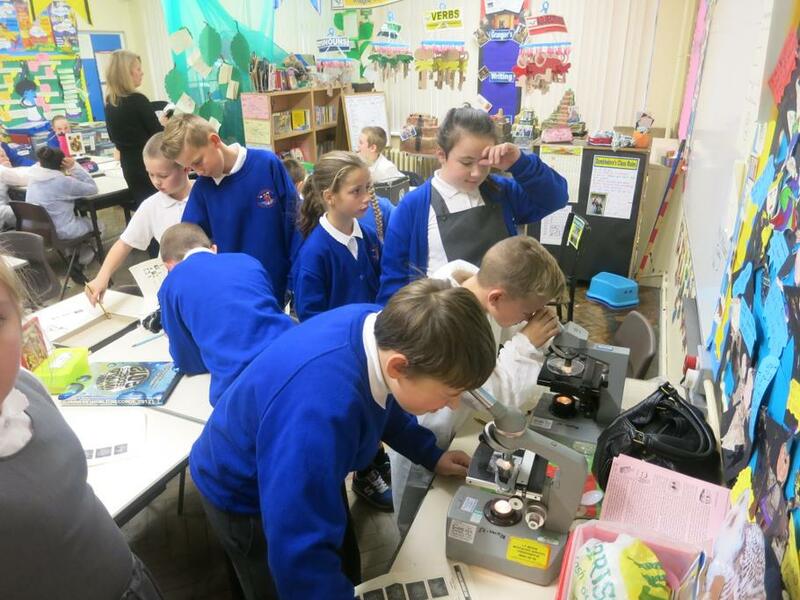 This should assist in broadening and deepening our pupil’s interest and knowledge of the world around them. 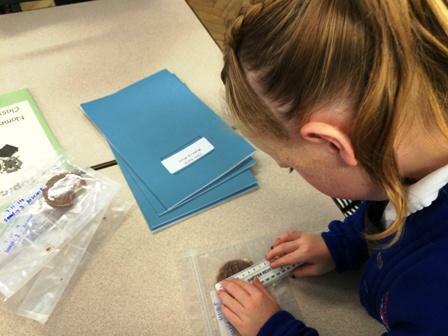 As part of the New National Curriculum, St.Christopher’s has begun to incorporate the New Science Curriculum Programmes Of Study into individual year group planning. 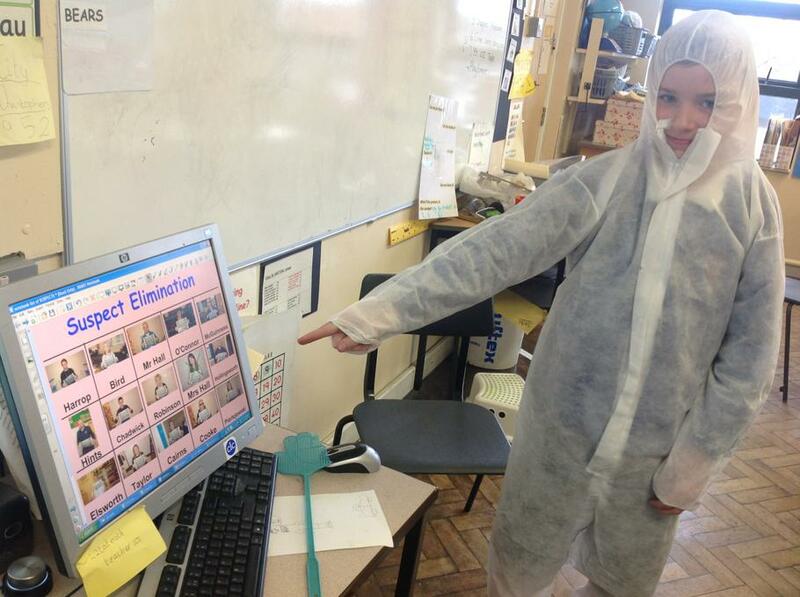 Where possible, Science learning is being linked to year group topics. 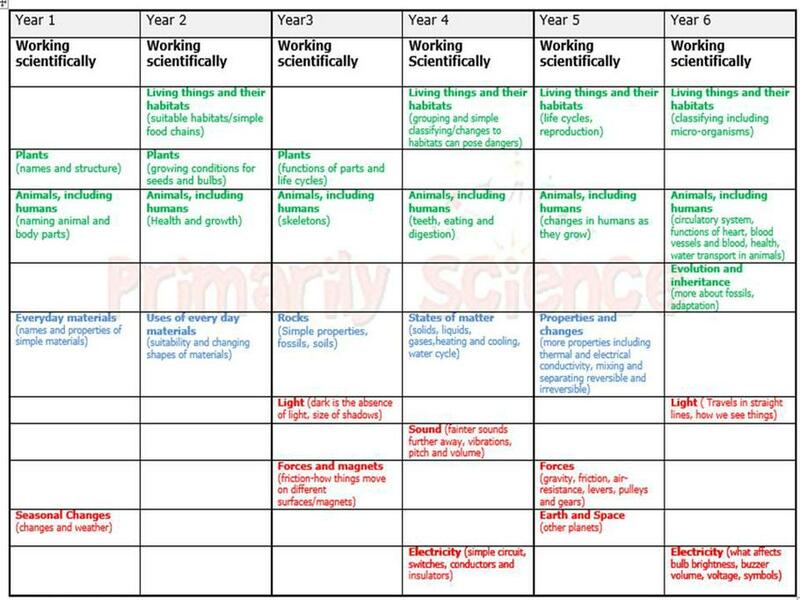 A draft overview of the New Science Curriculum can be found below identifying the three specific areas of learning – Biology, Chemistry and Physics. 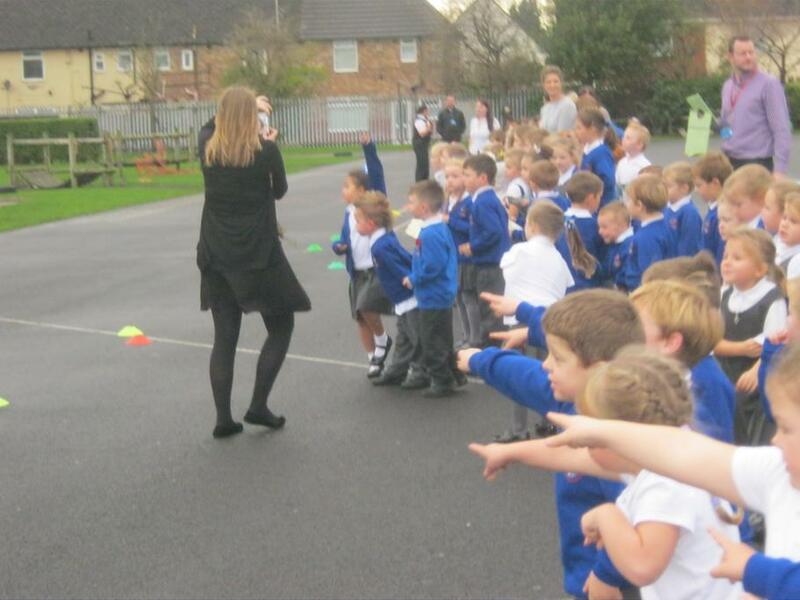 To coincide with the new curriculum, staff training has been arranged for specific KS1, lower KS2 and upper KS2 staff. 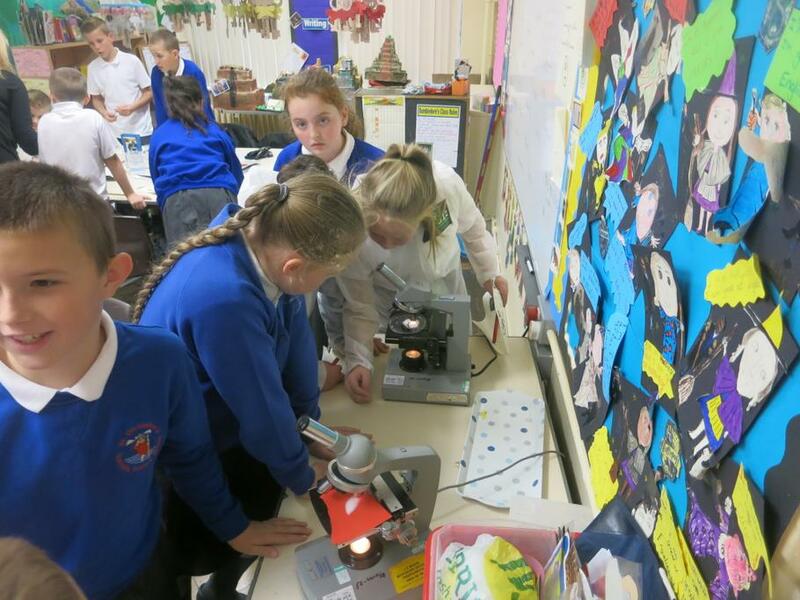 This will introduce them to the new changes to science learning as well as providing them with ideas and resources to develop their scientific teaching. 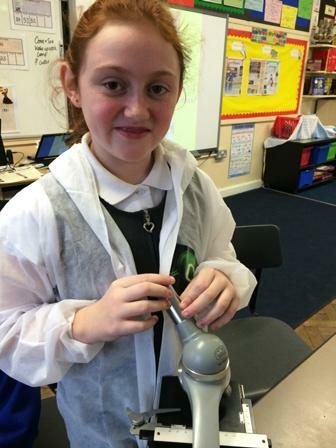 A science training evening is also planned for this Autumn term to assist implementation of the 2014 Science Curriculum into St.Christopher’s. 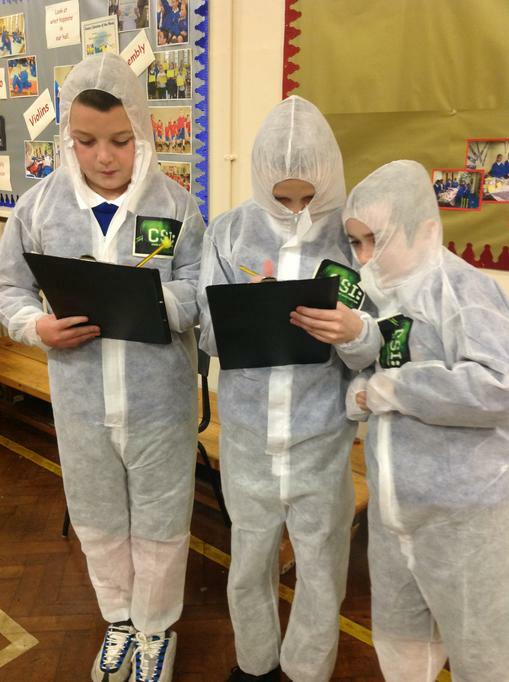 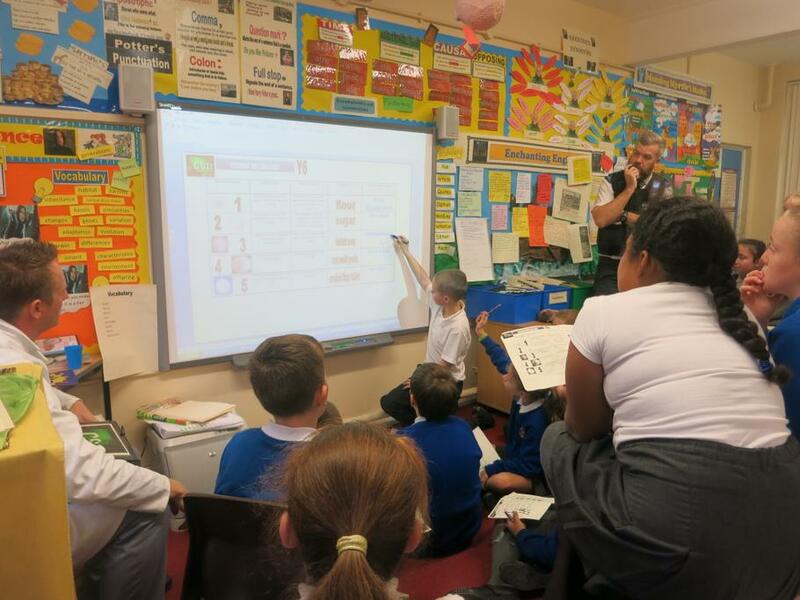 Y6 CSI Officers at work! 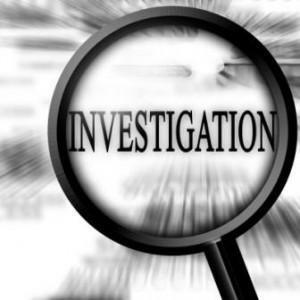 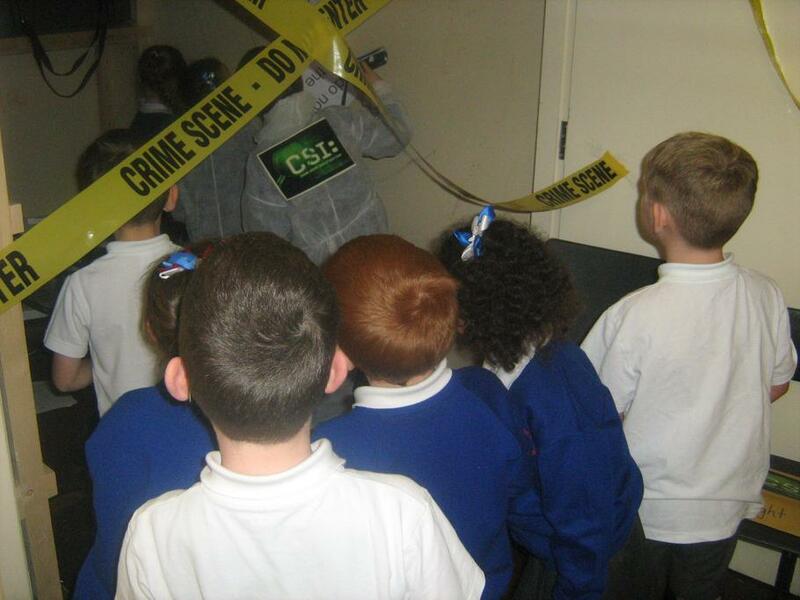 The Task : To identify through science observations and analyse the staff culprit behind the 4 crime scenes located around the school! 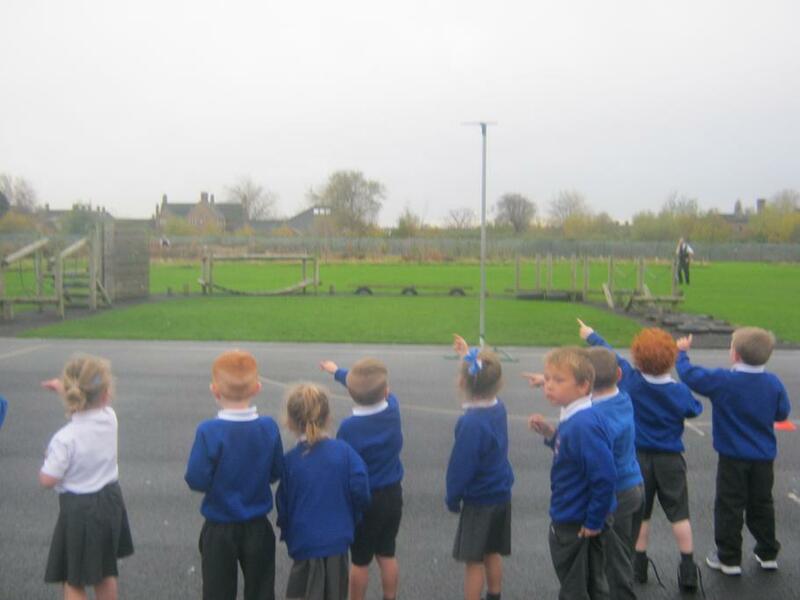 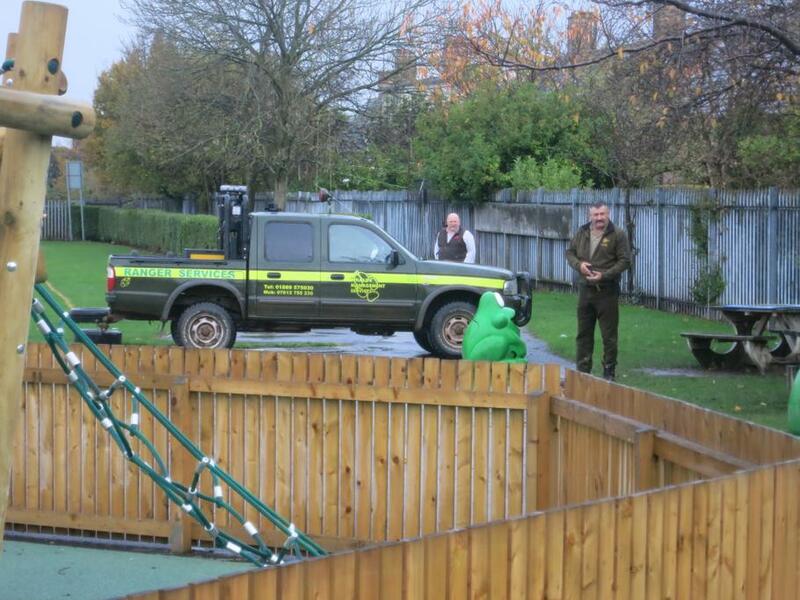 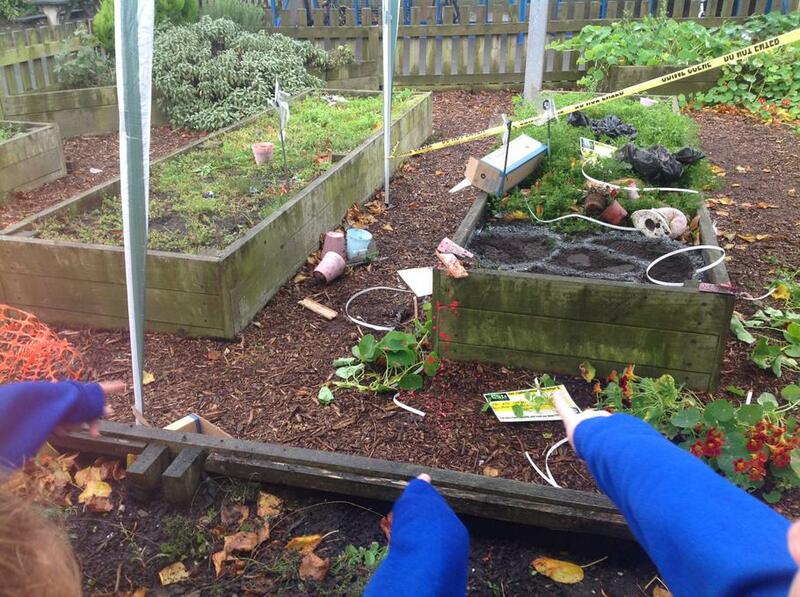 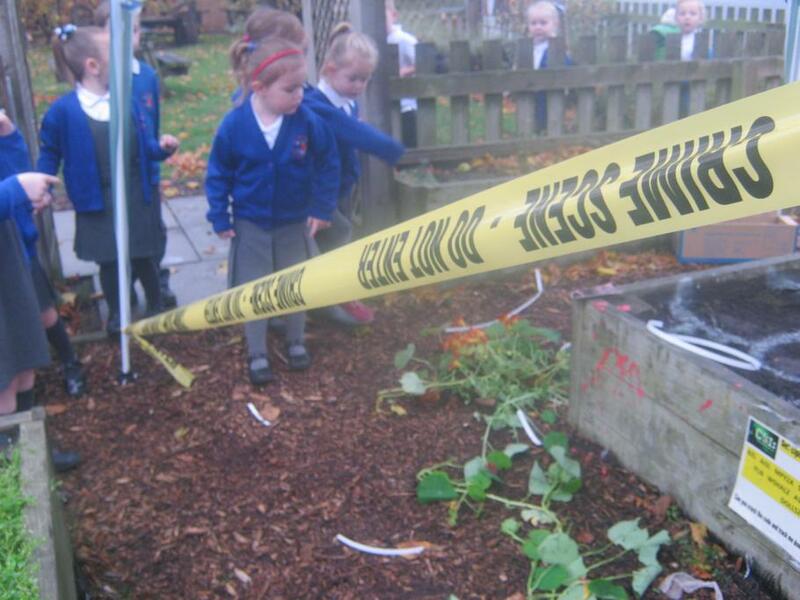 Could the footprints left in the school garden be Mr Hints? 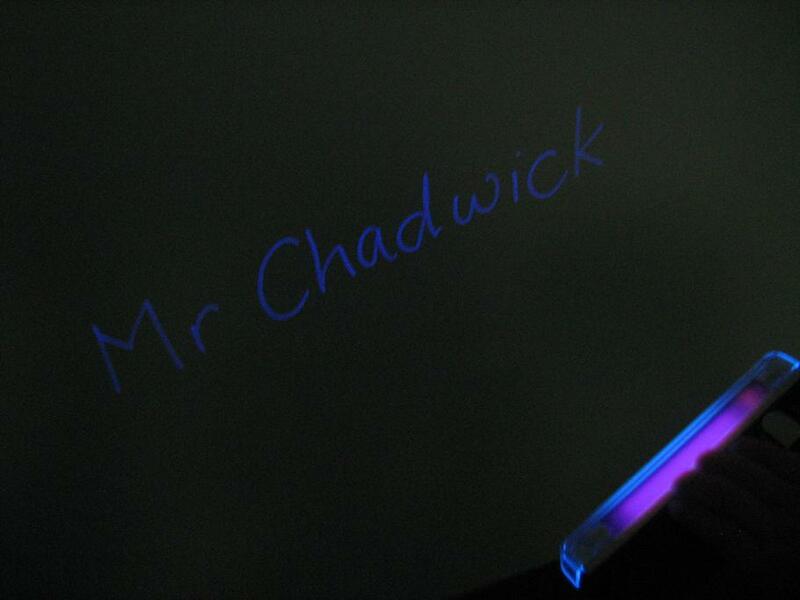 Do the fingerprints in the dream room belong to Mr Chadwick? 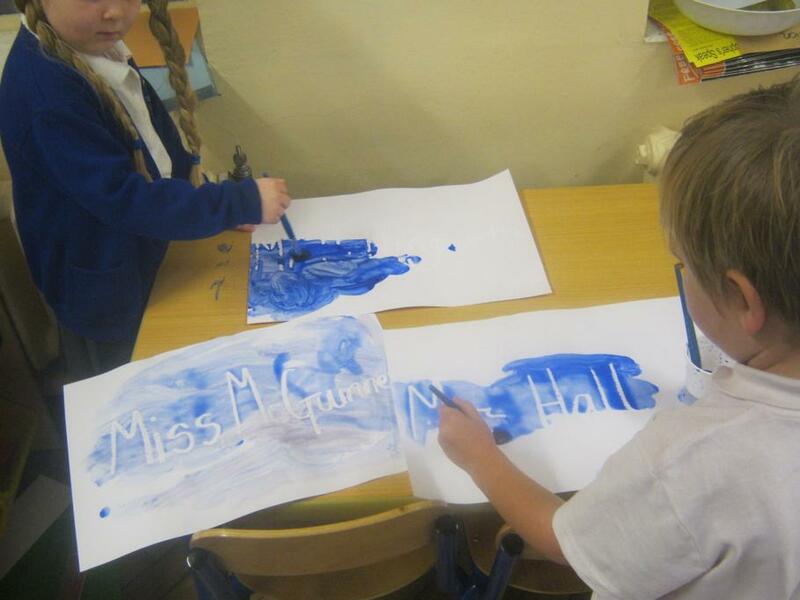 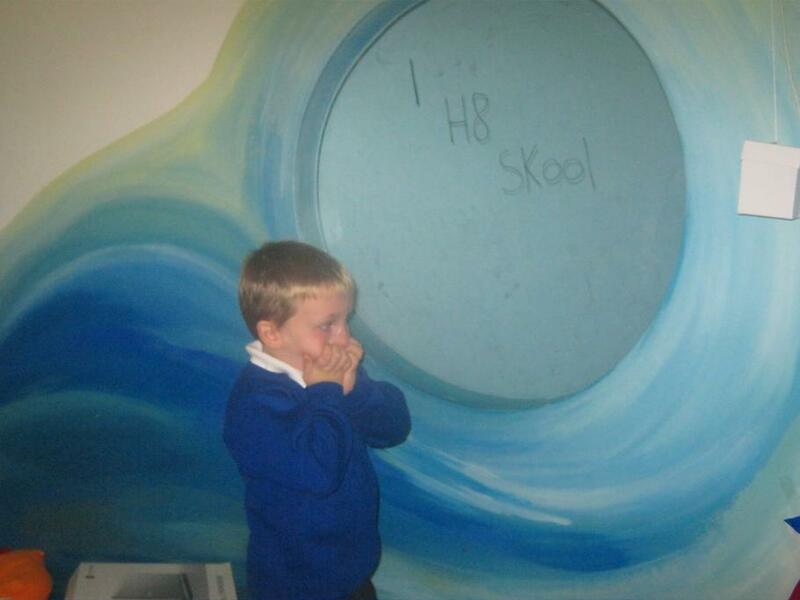 Is it Mrs Halls handwriting left on the hall wall? 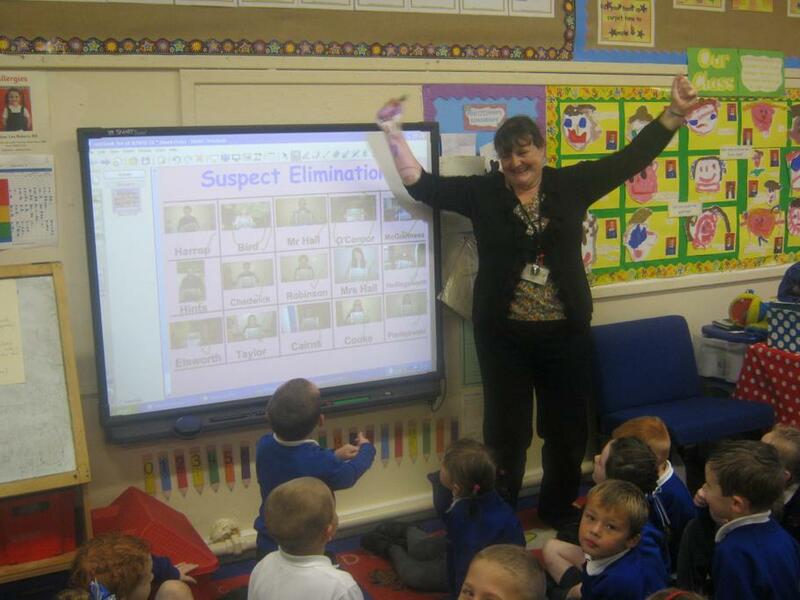 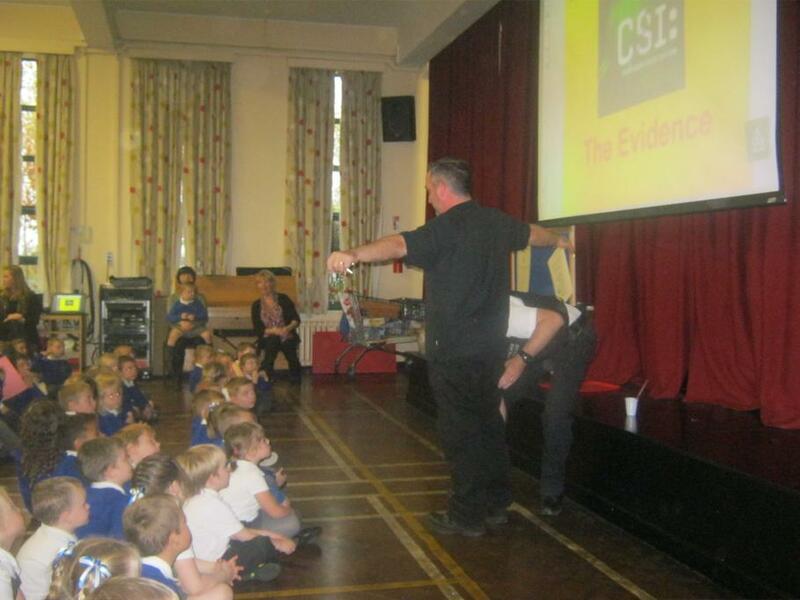 Each class was presented with CSI tasks to complete in order to eliminate 1 by 1 the 14 innocent staff suspects leaving just 1 staff criminal to be handed over to the police! 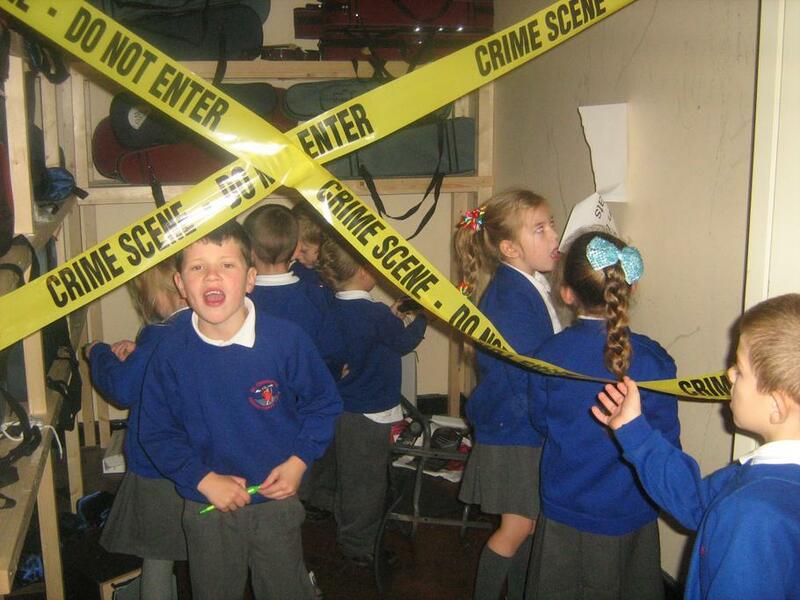 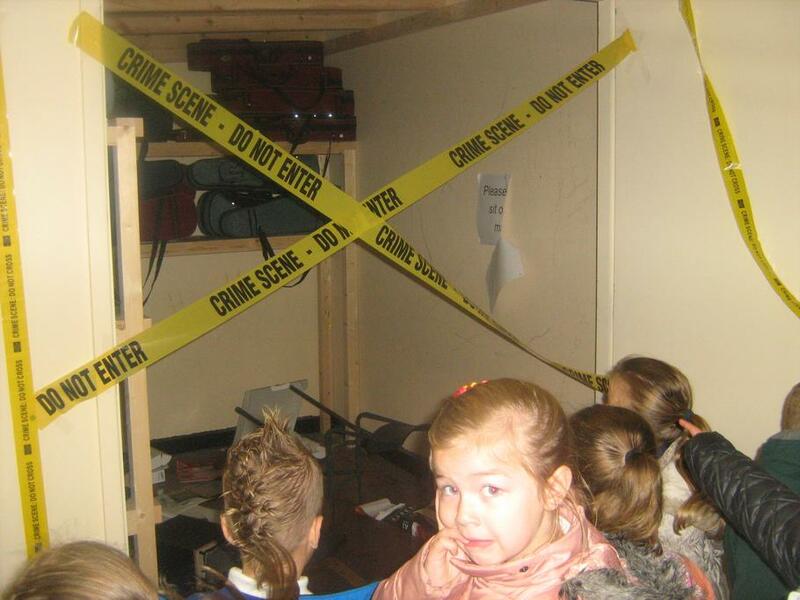 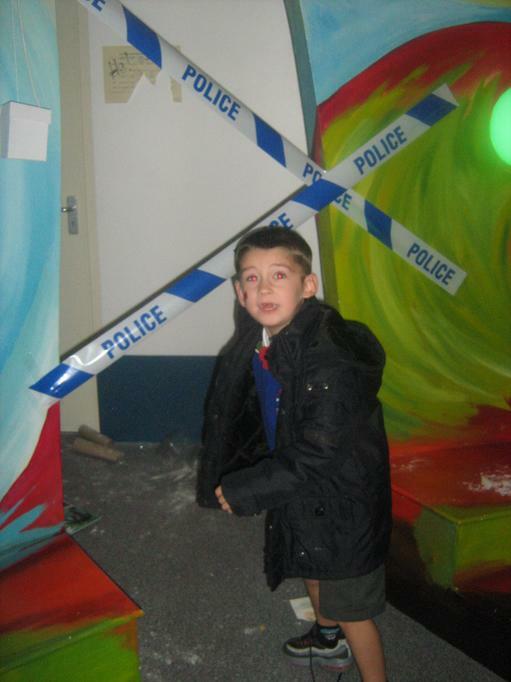 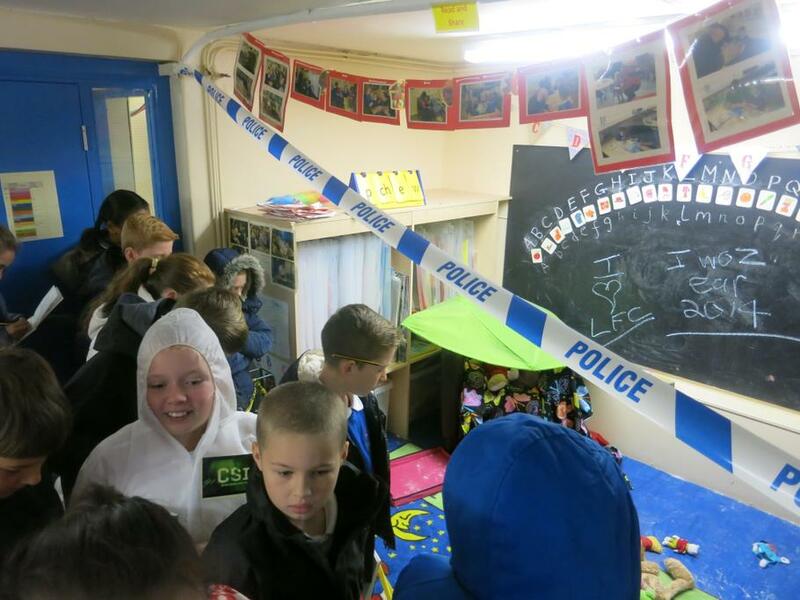 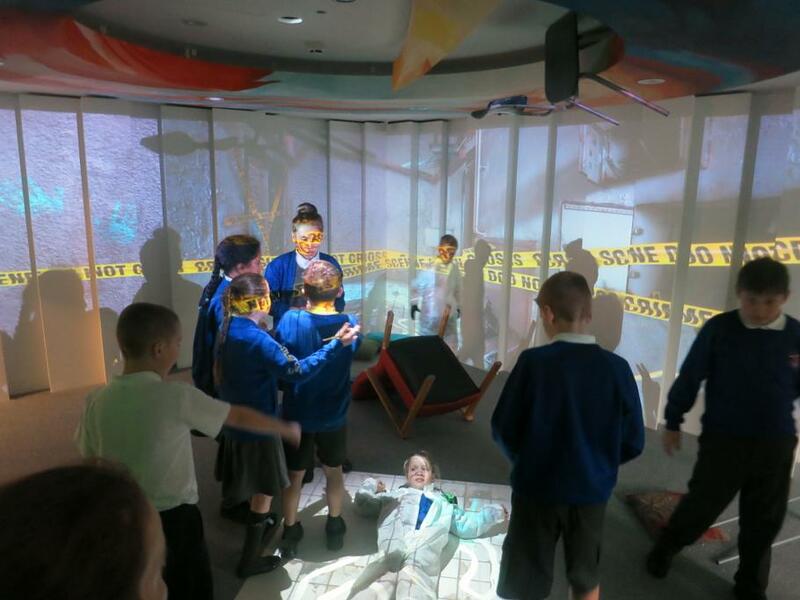 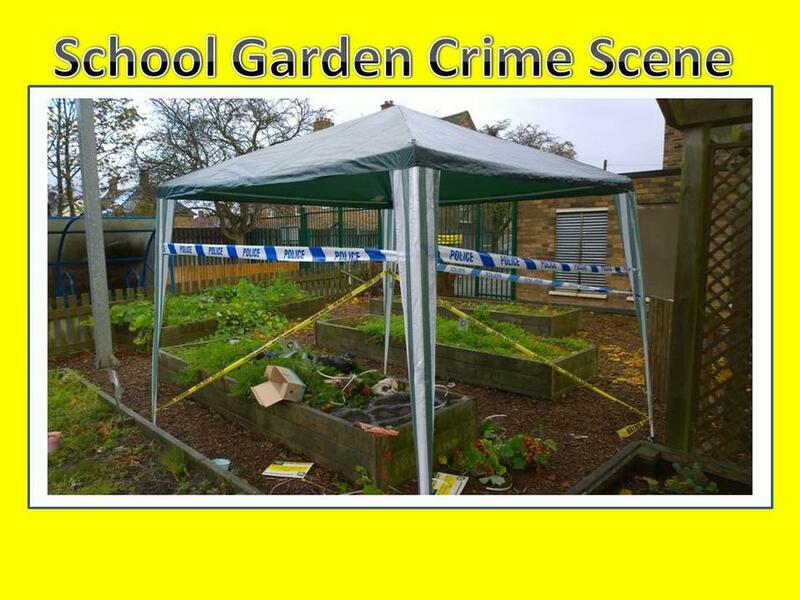 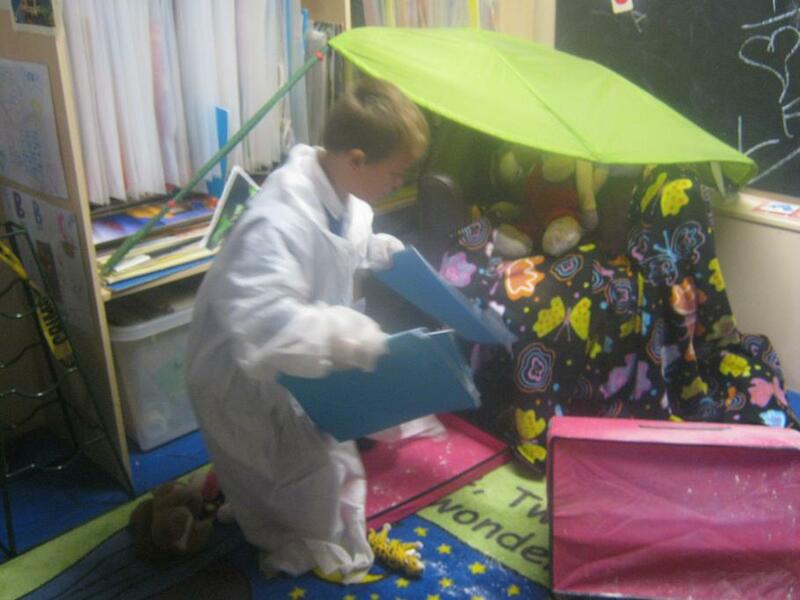 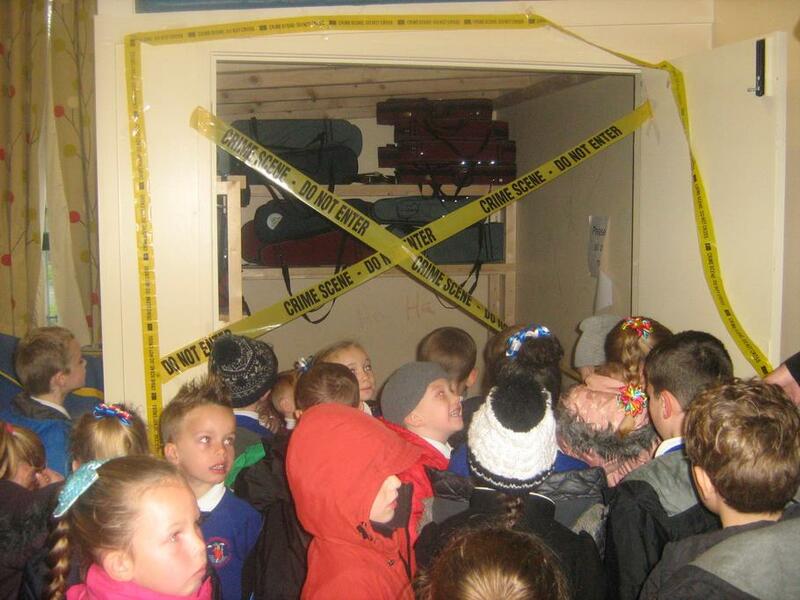 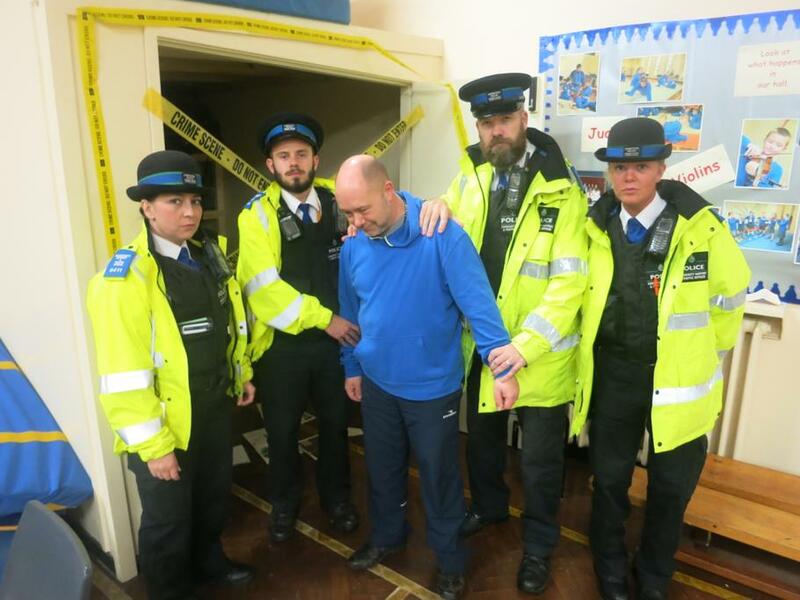 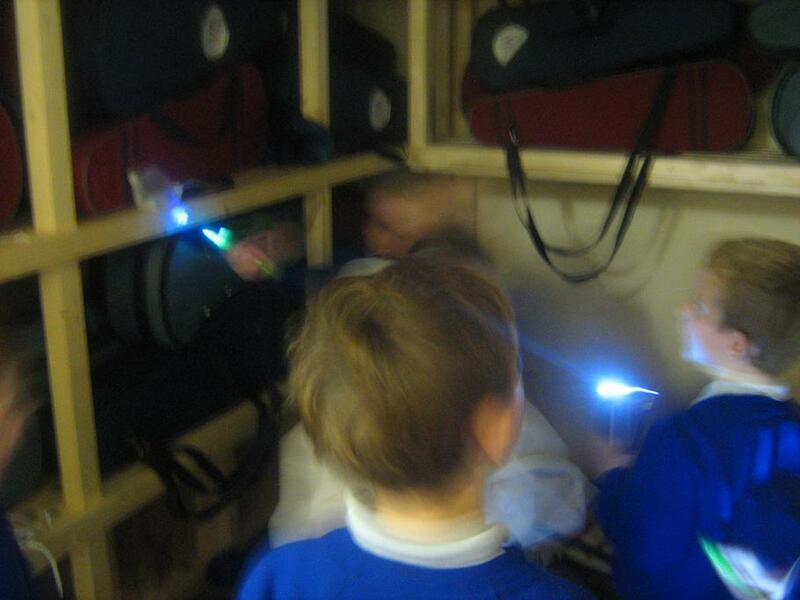 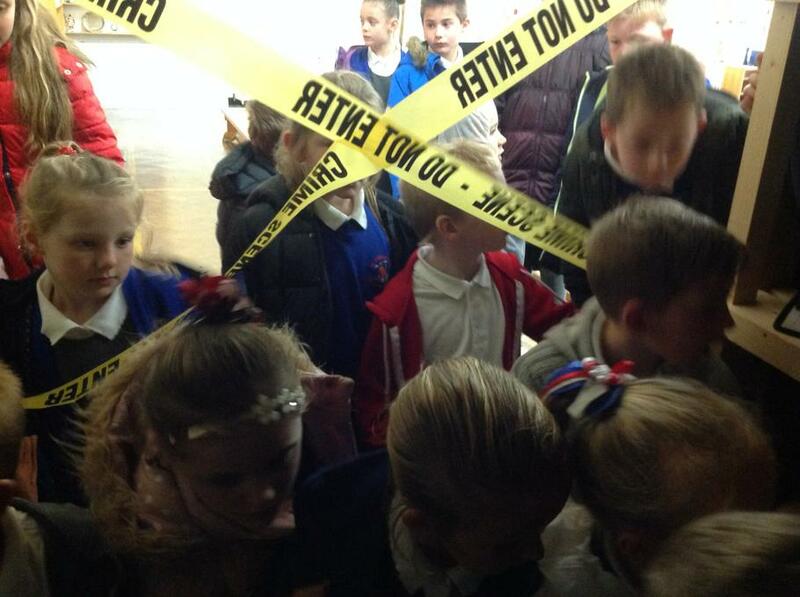 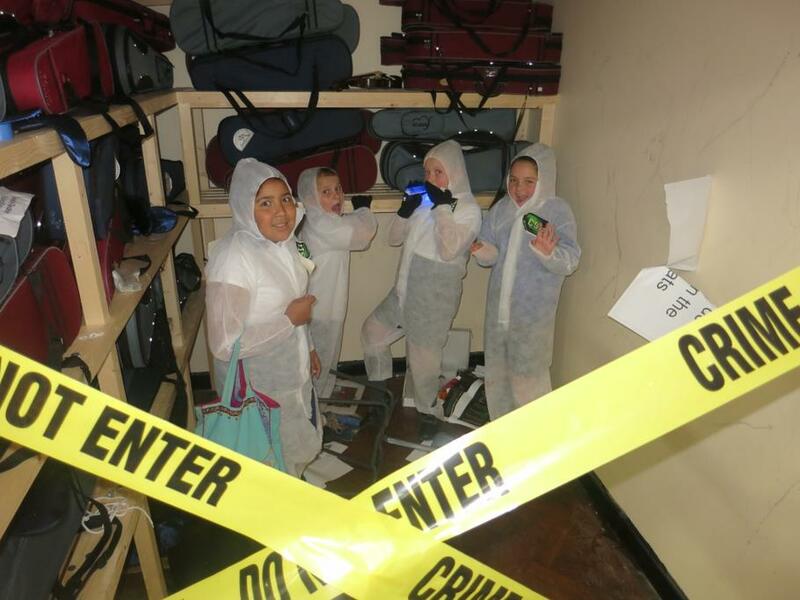 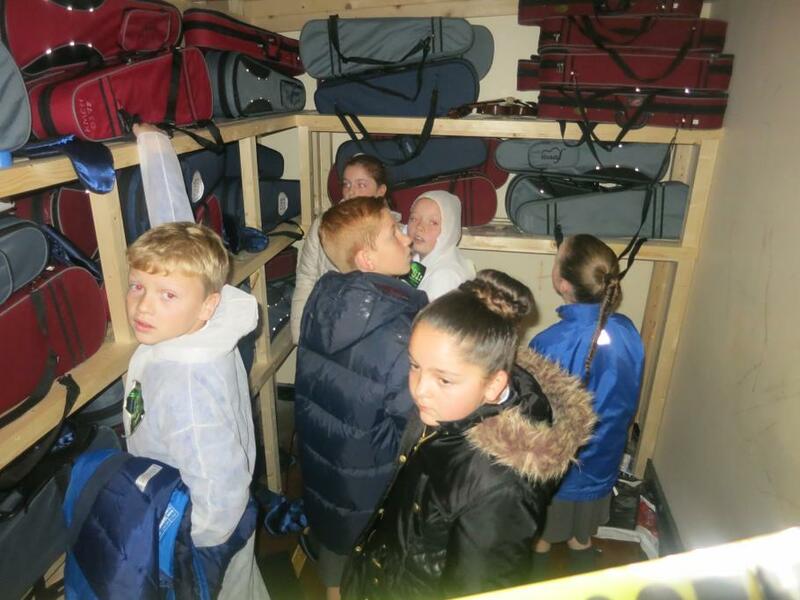 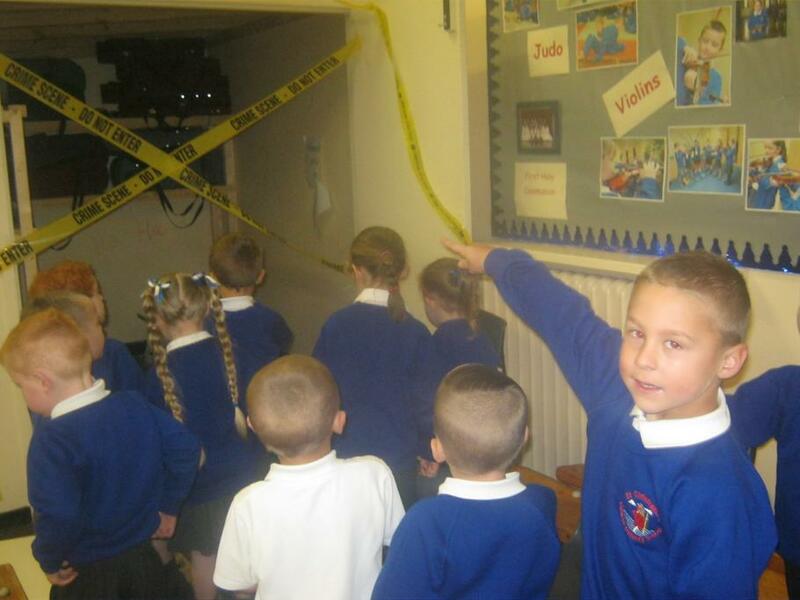 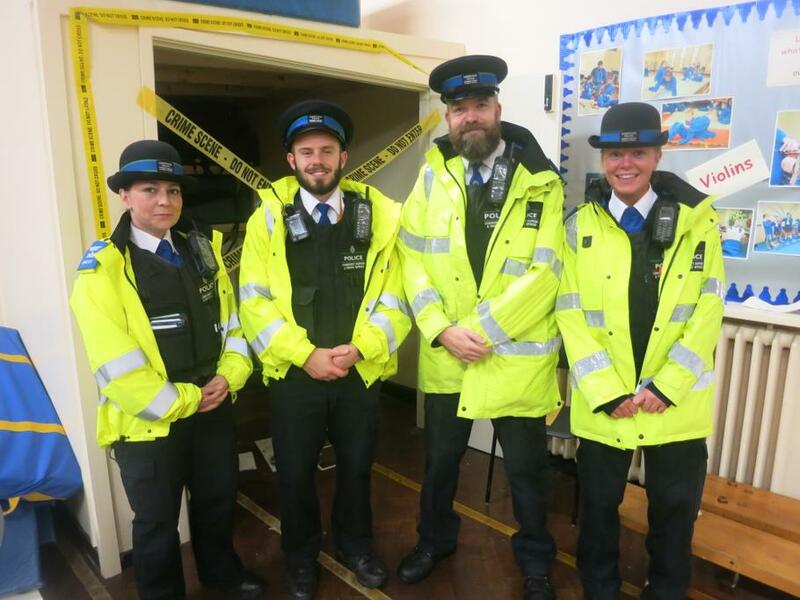 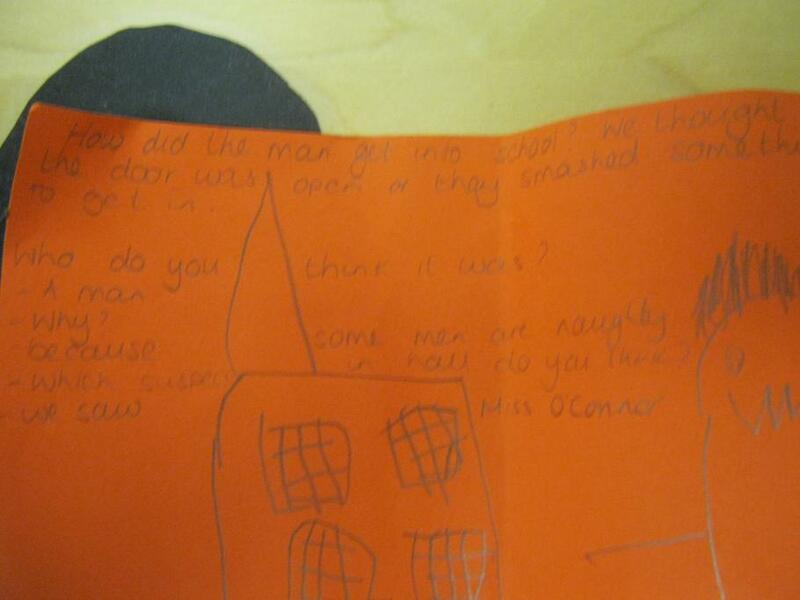 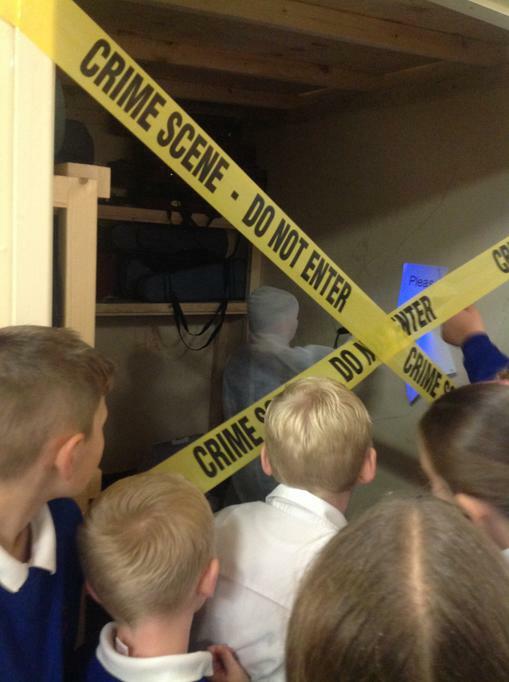 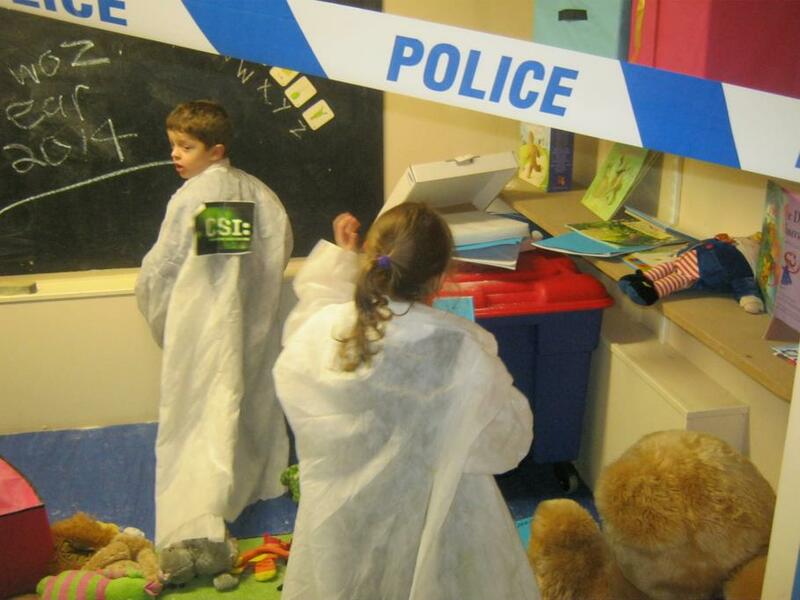 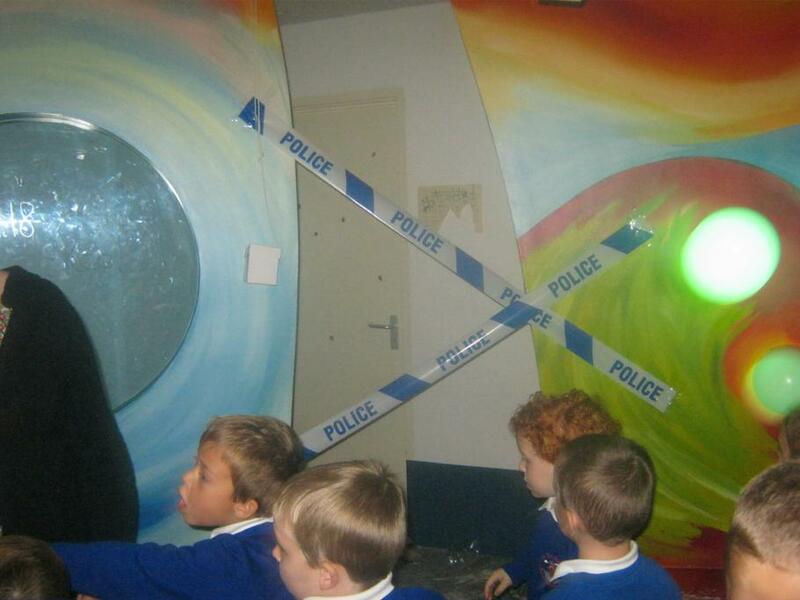 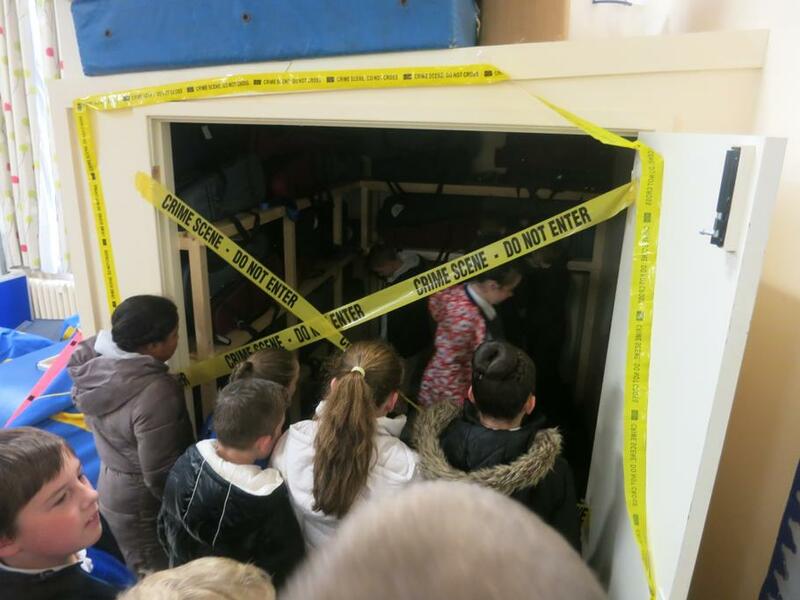 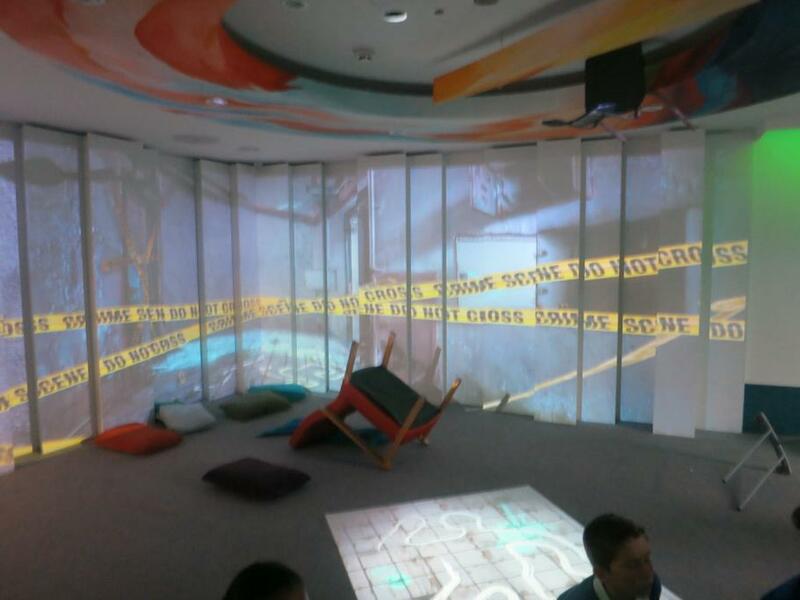 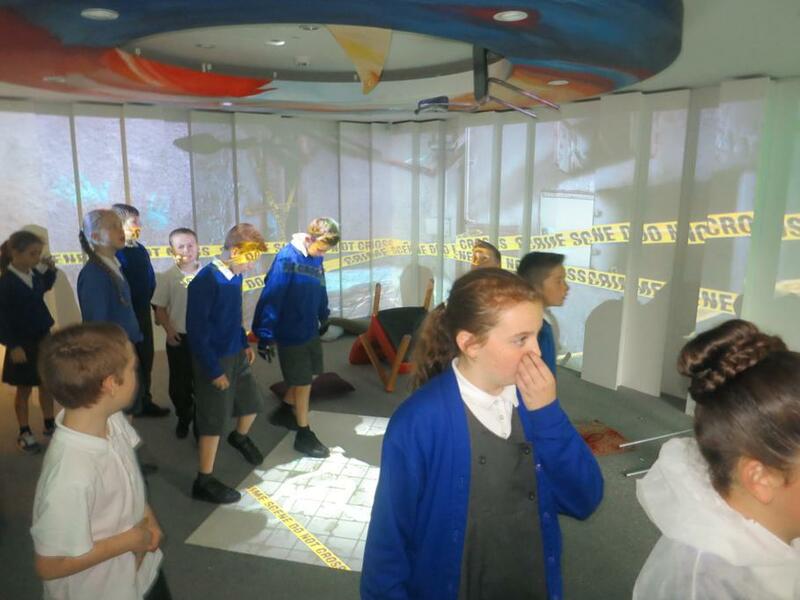 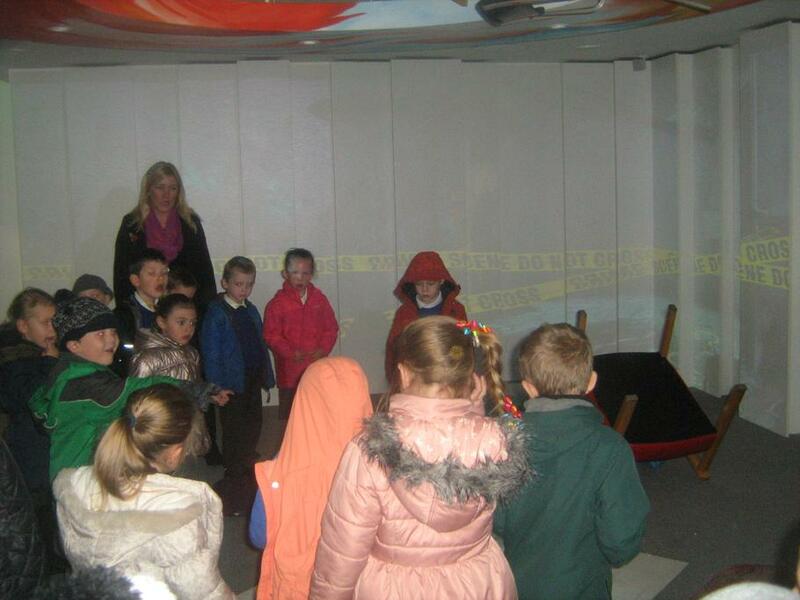 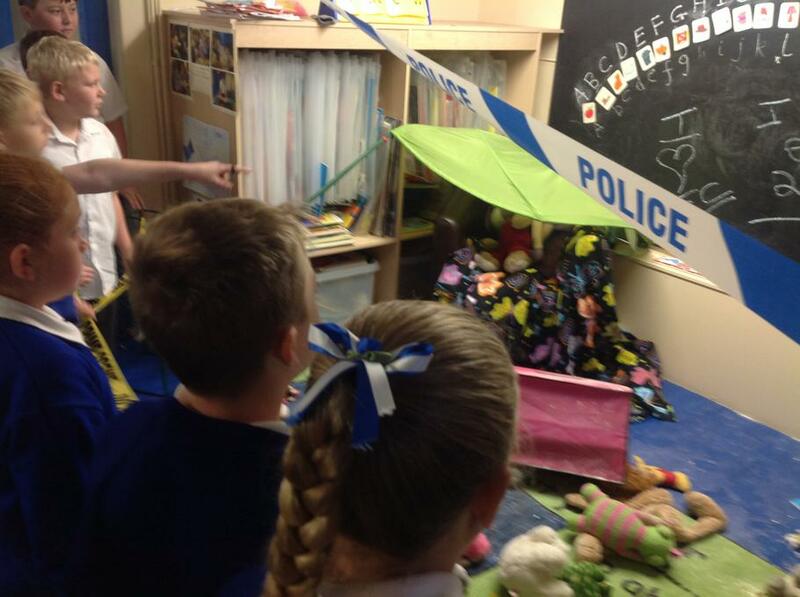 The Crime Scenes : 4 crime scenes were found early morning by CSI police officers; The Dream Room, School Garden, Reception resource area and Hall violin storage cupboard. 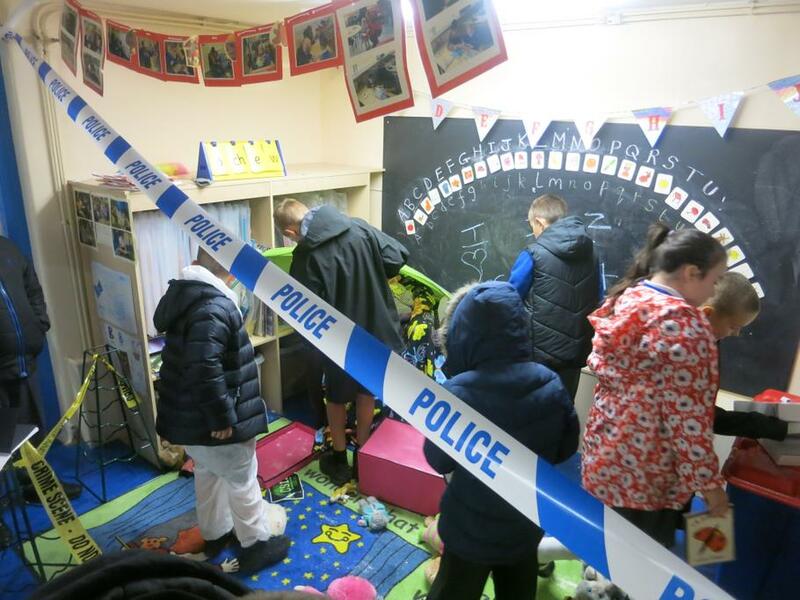 Lots of vandalism and criminal activity was found at the scenes; missing laptops, half eaten food, graffiti, ripped books to broken chairs. 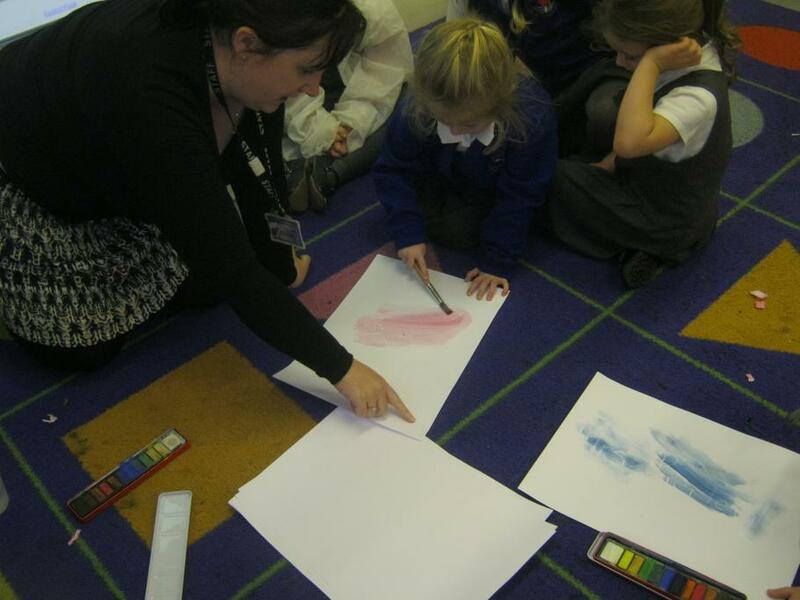 paper tears and mystery hidden writing. 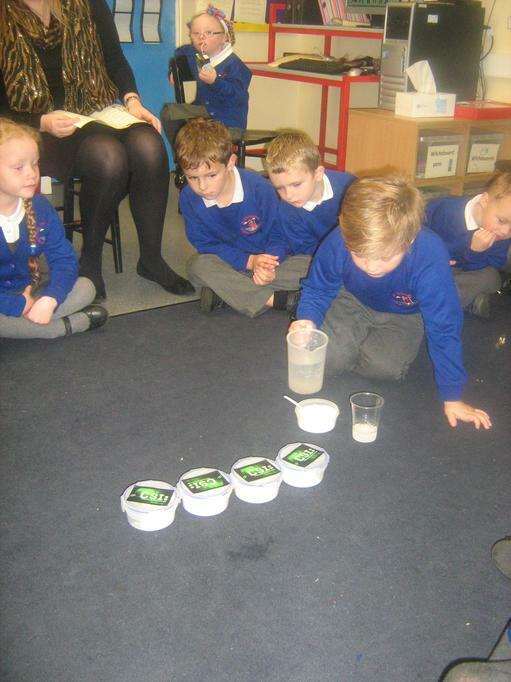 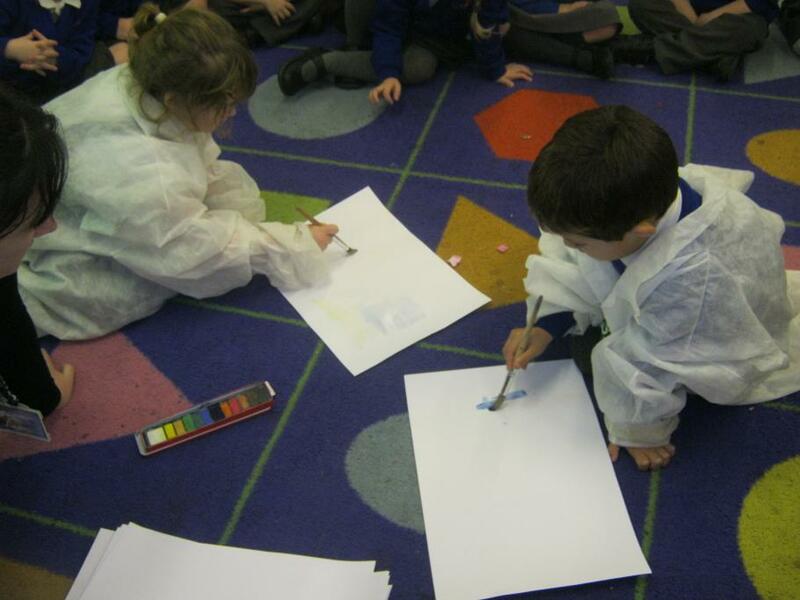 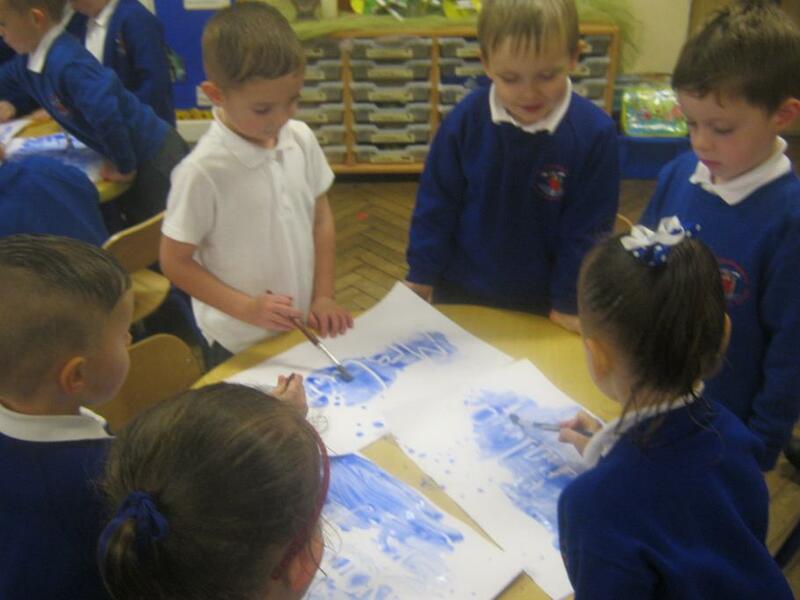 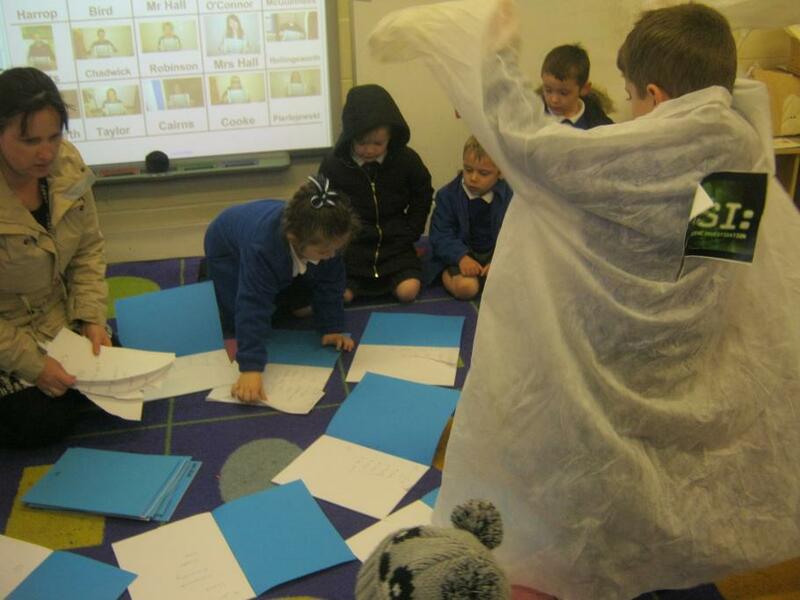 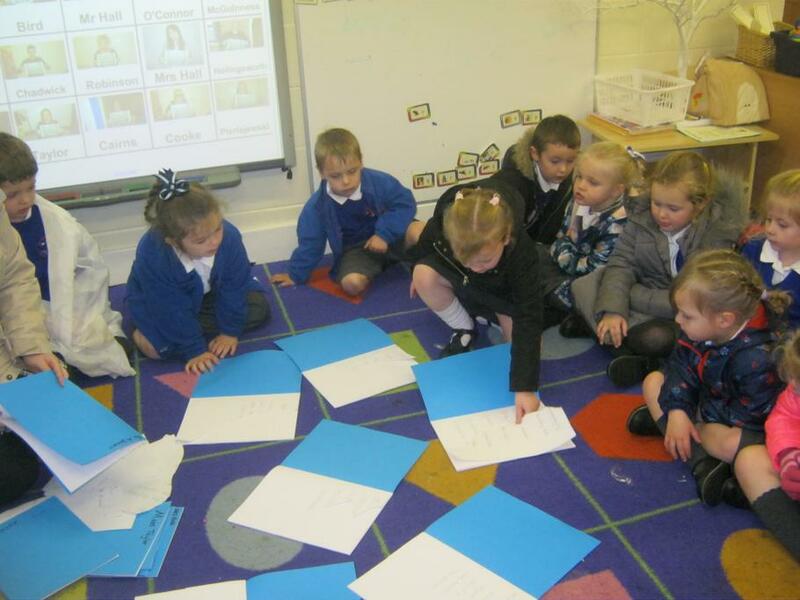 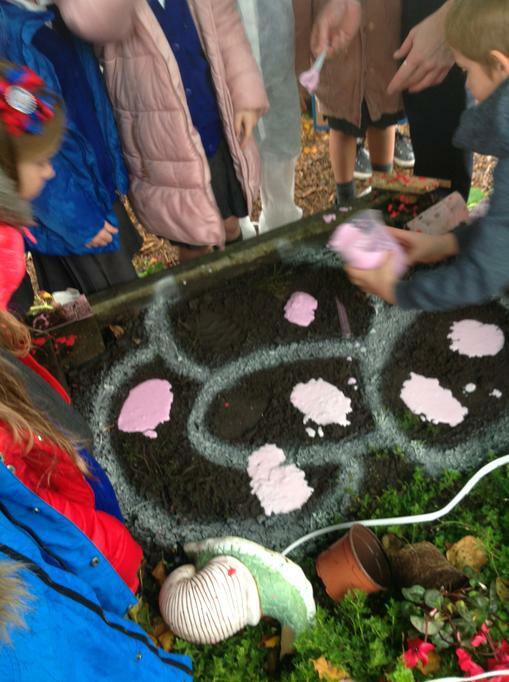 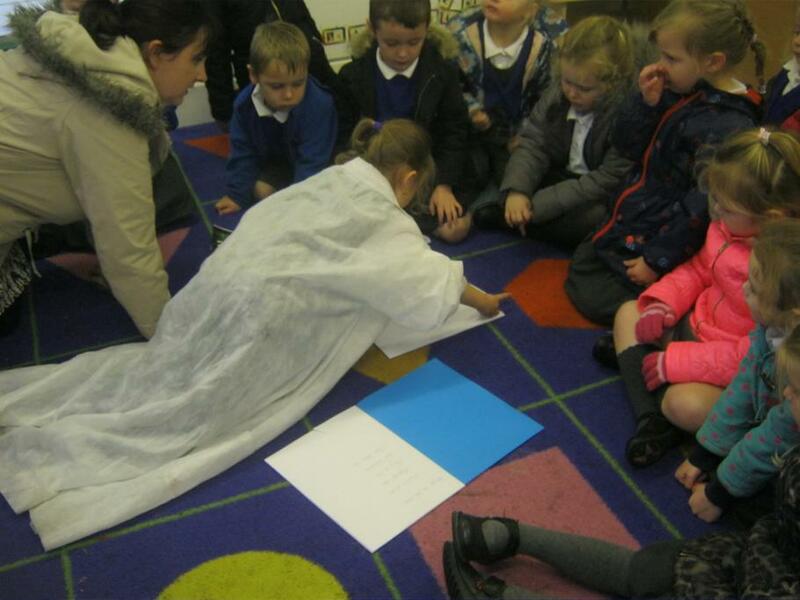 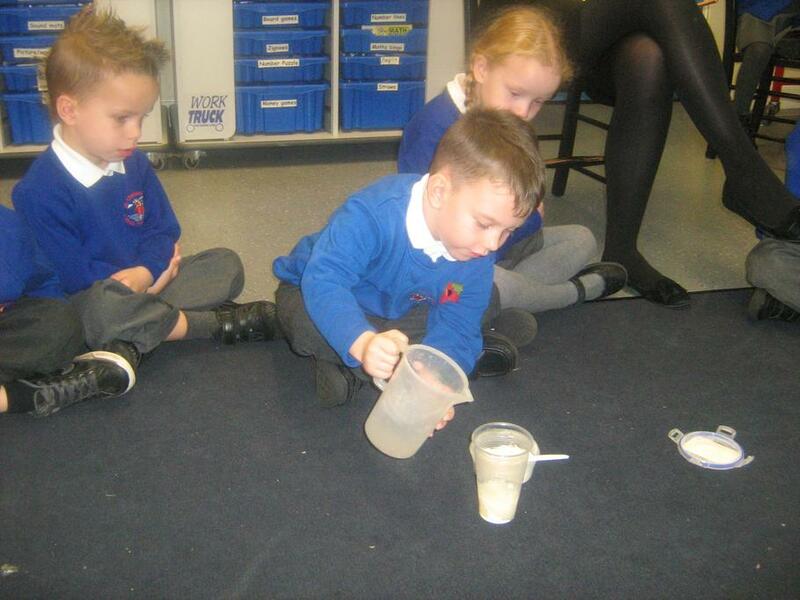 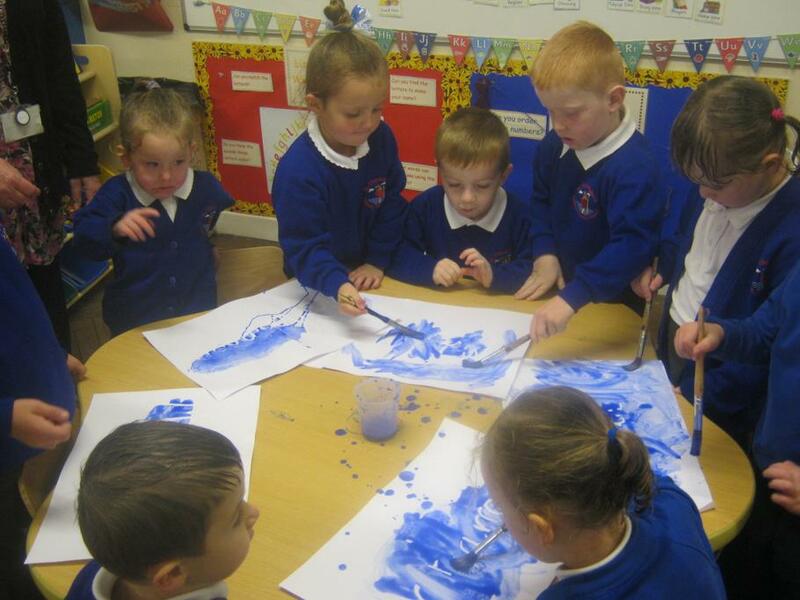 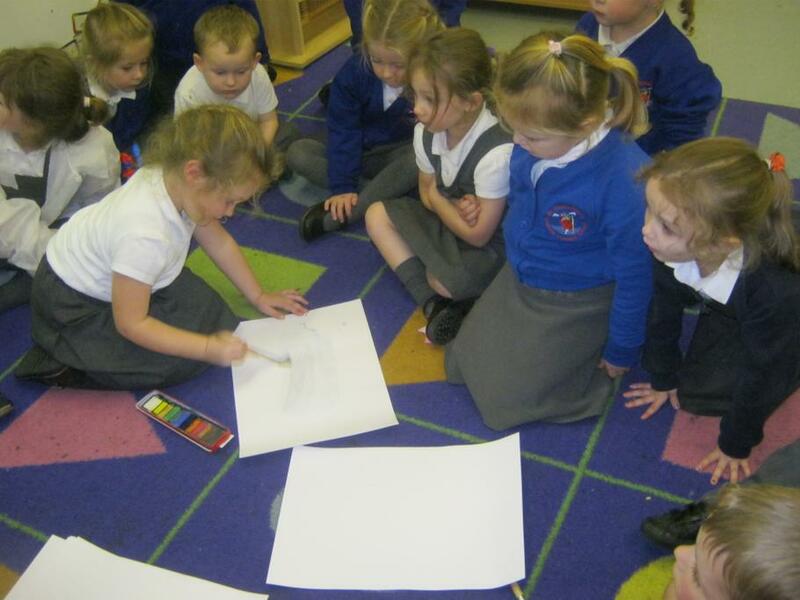 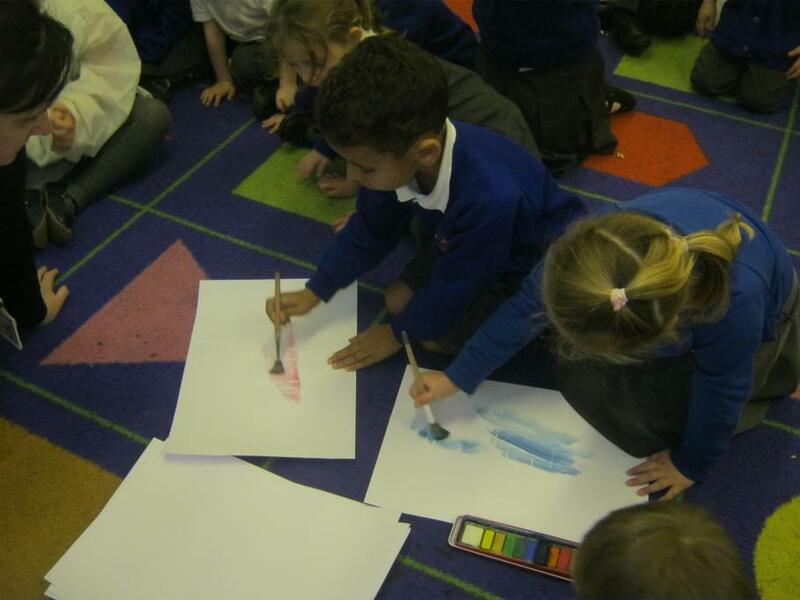 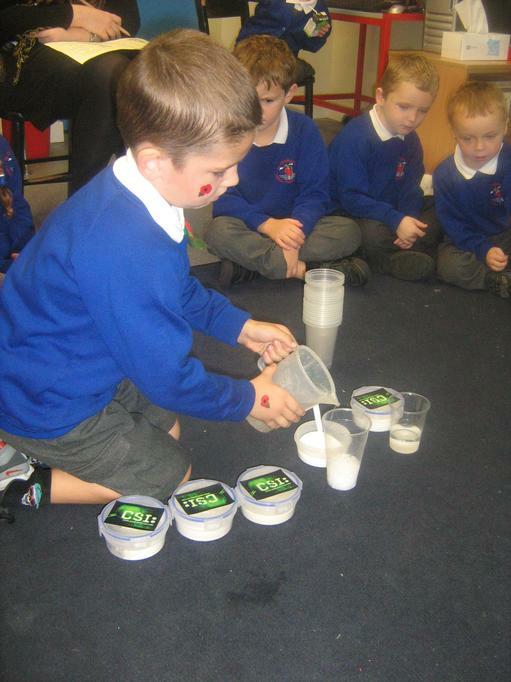 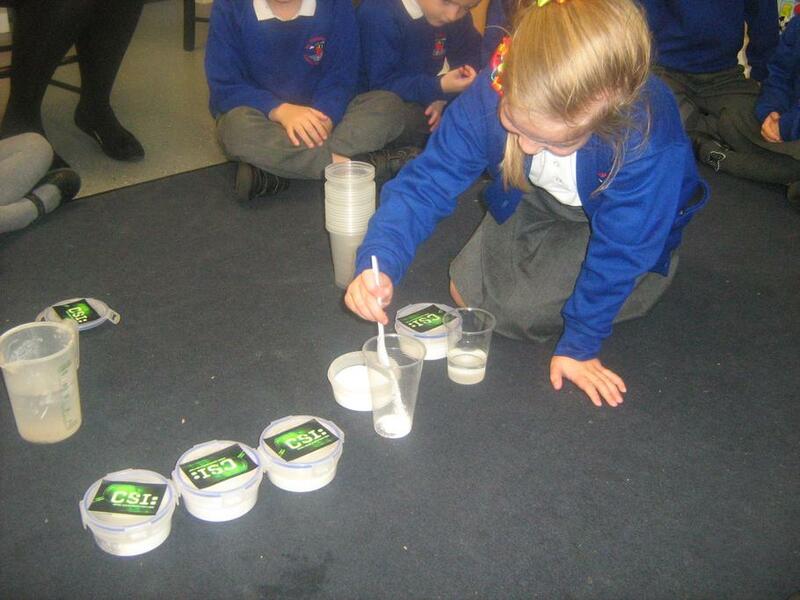 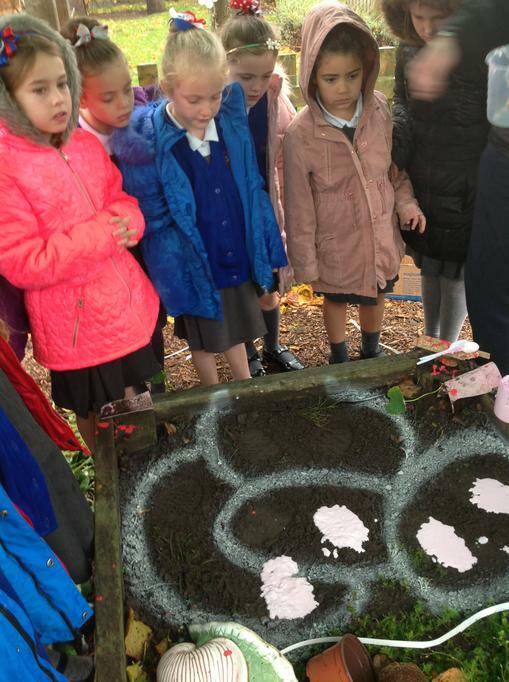 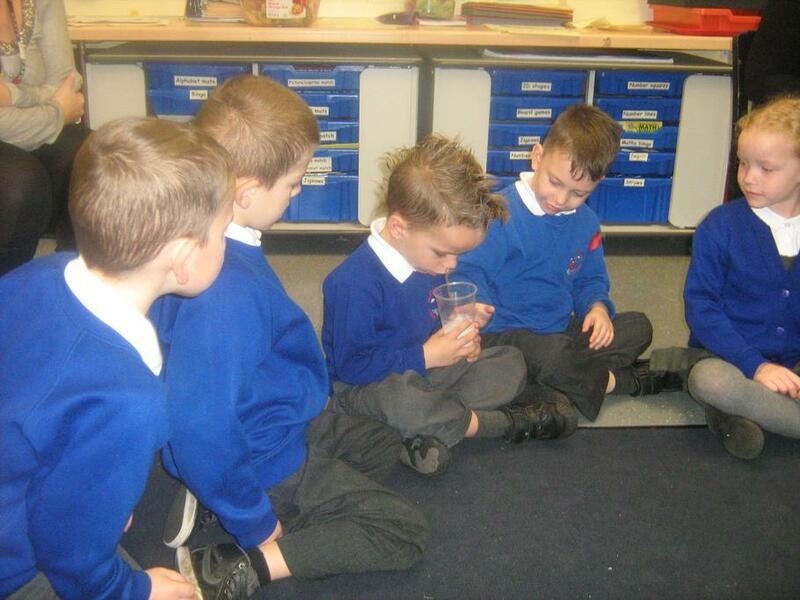 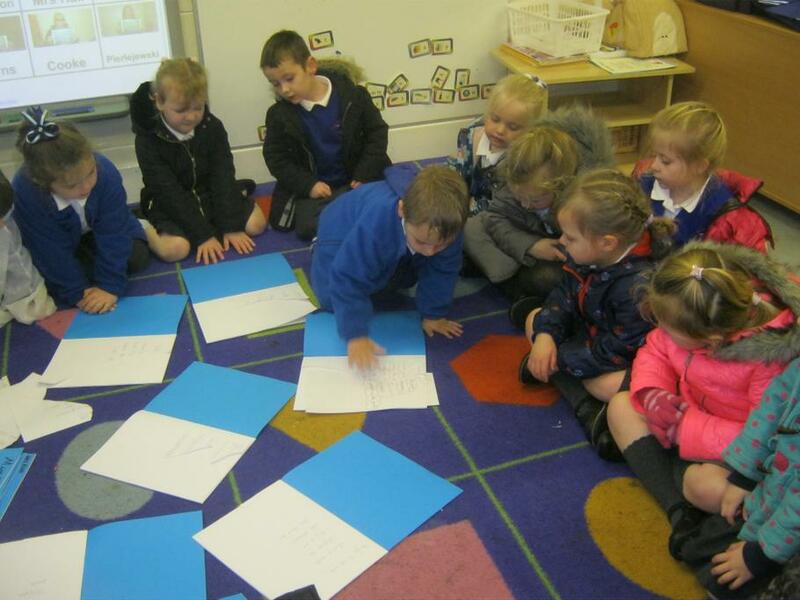 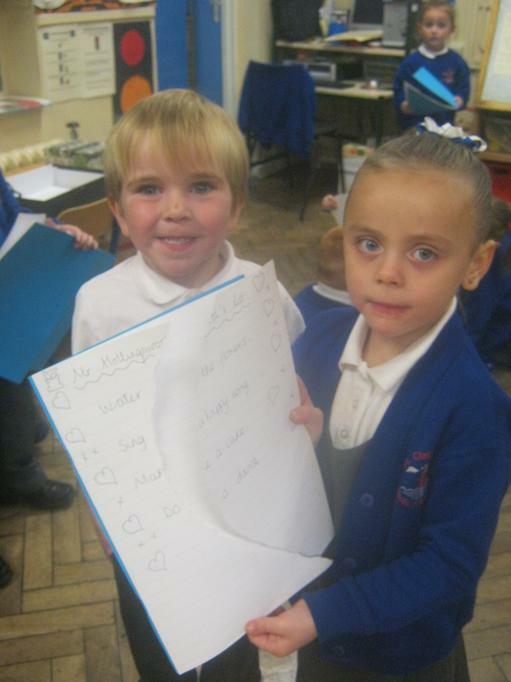 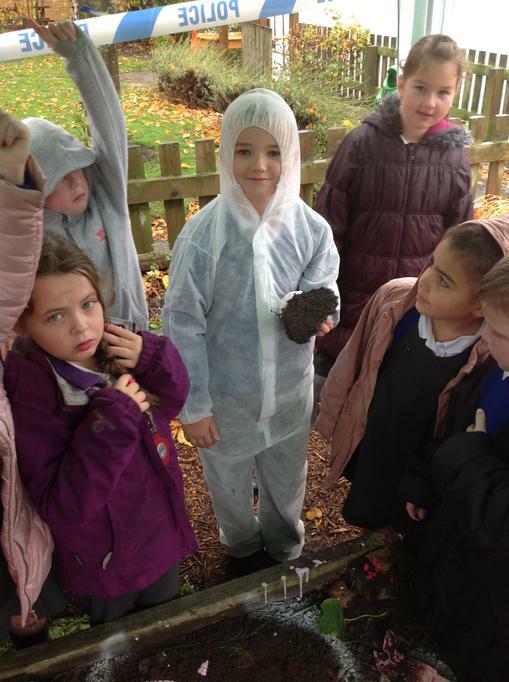 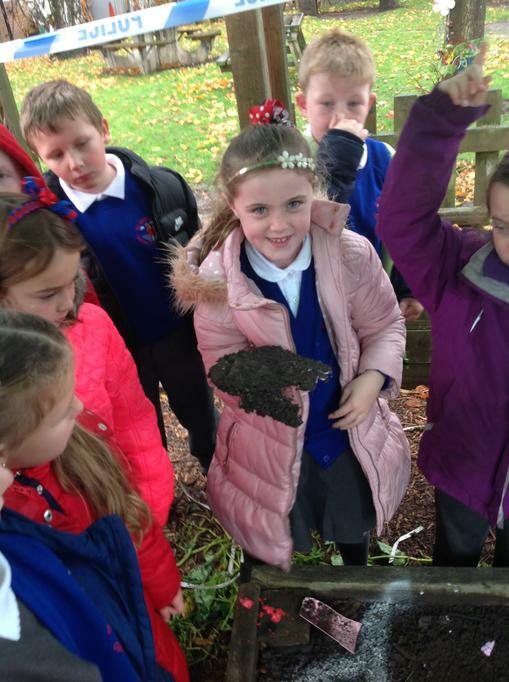 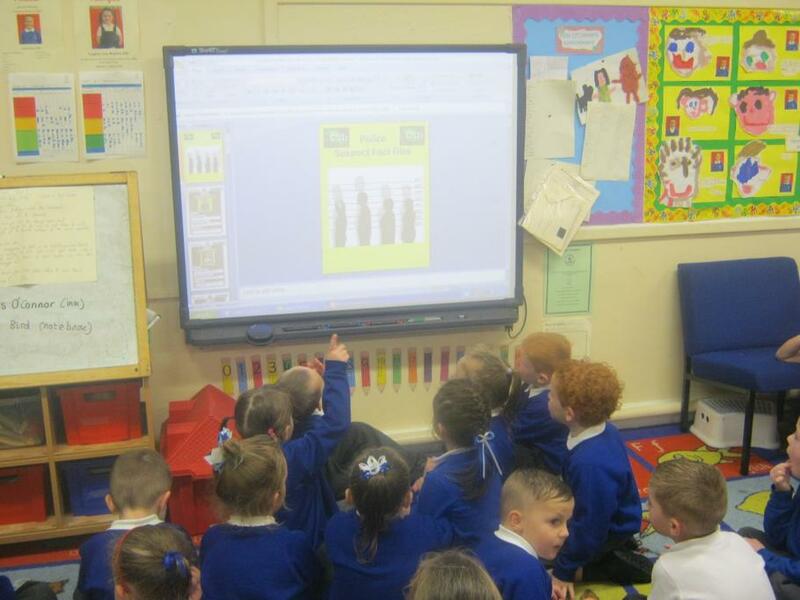 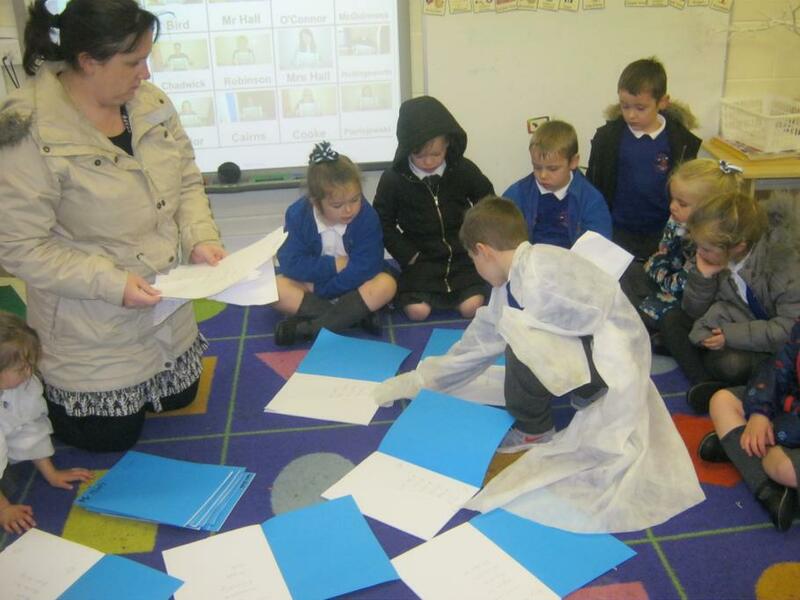 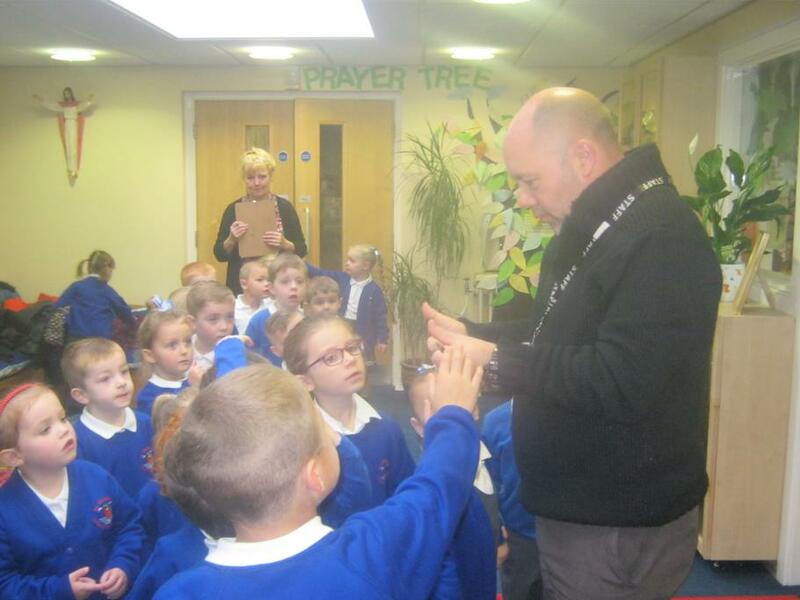 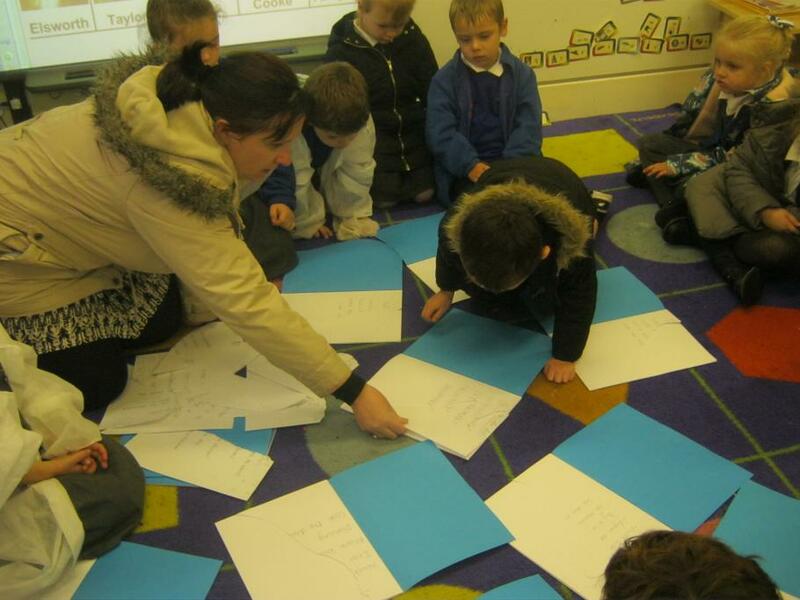 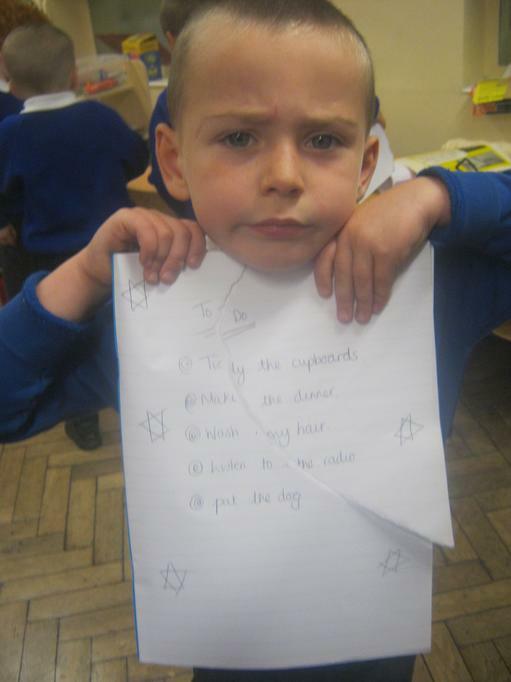 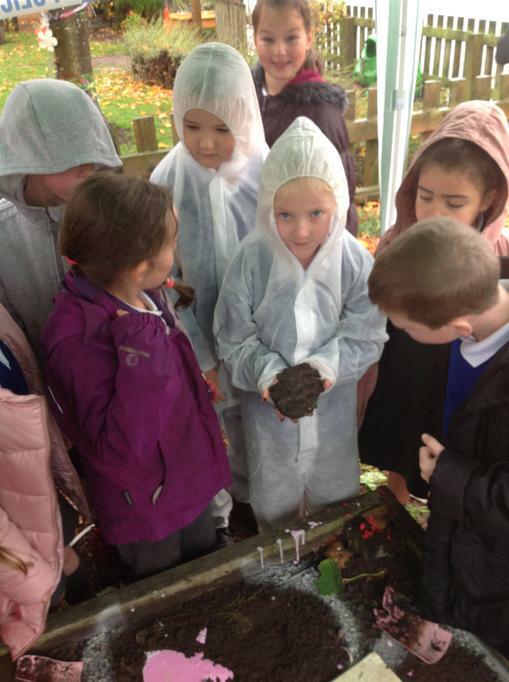 Year 1 – Comparing and describing mystery powders and their properties. 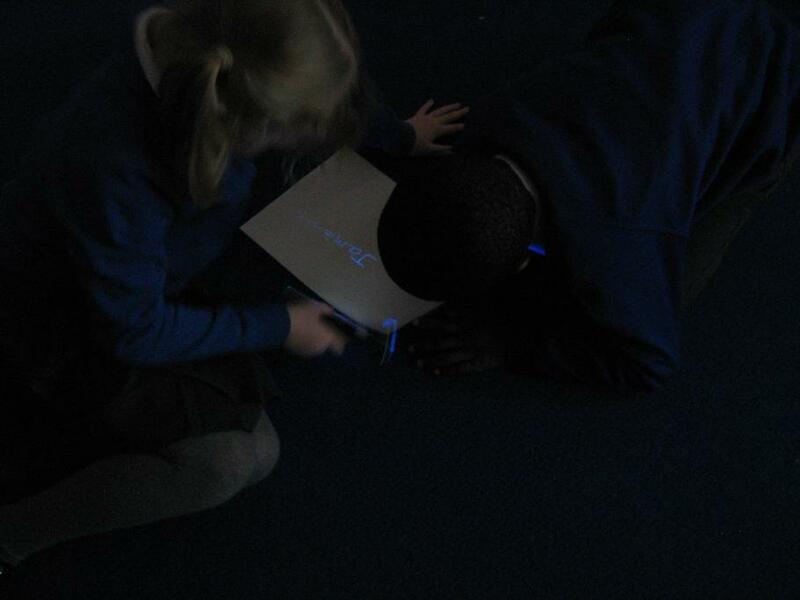 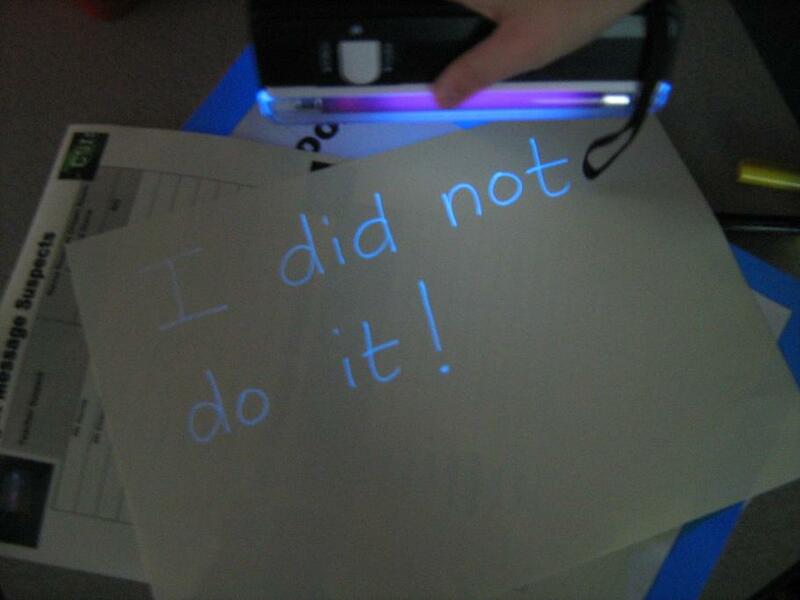 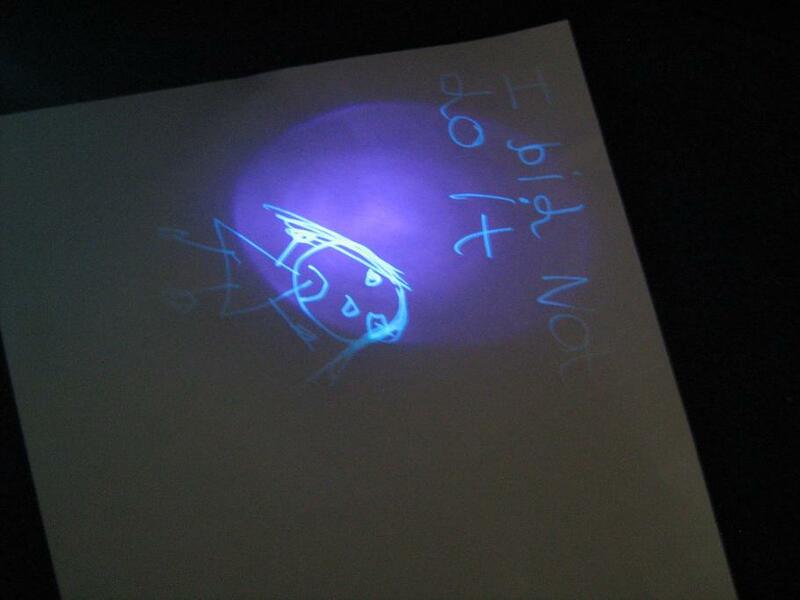 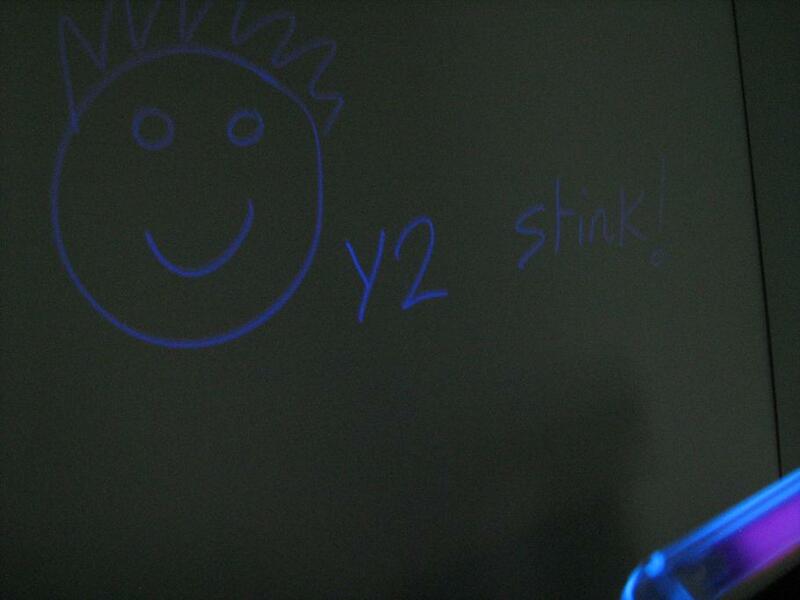 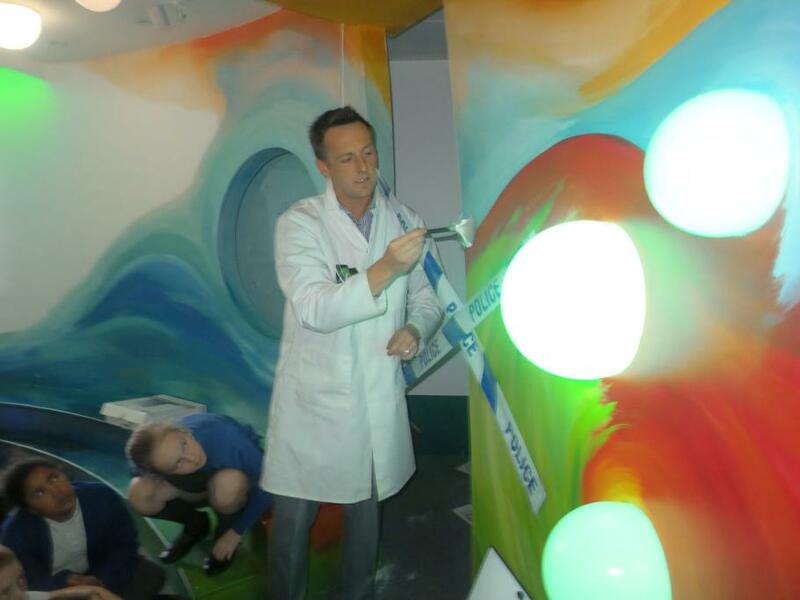 Examine mystery UV light messages! 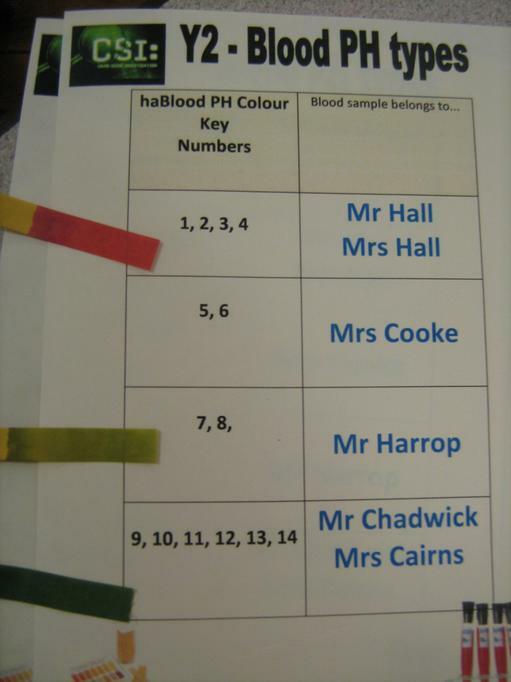 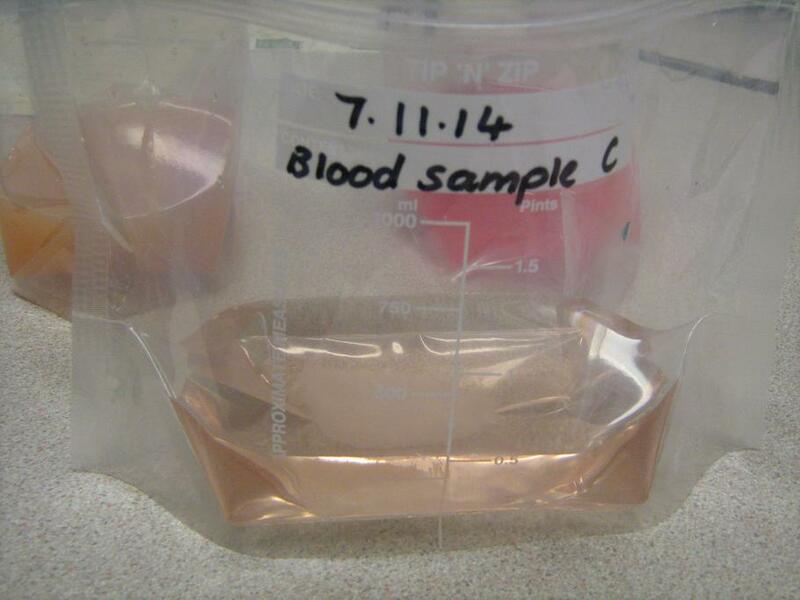 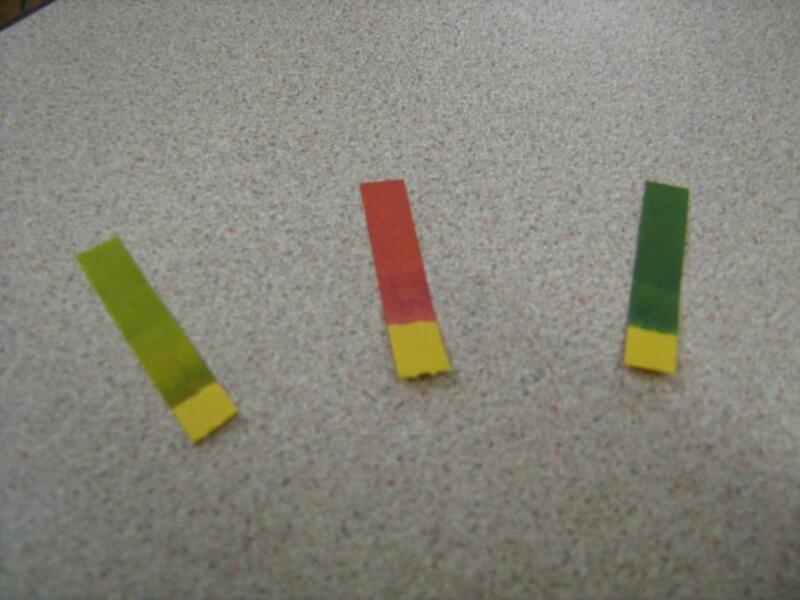 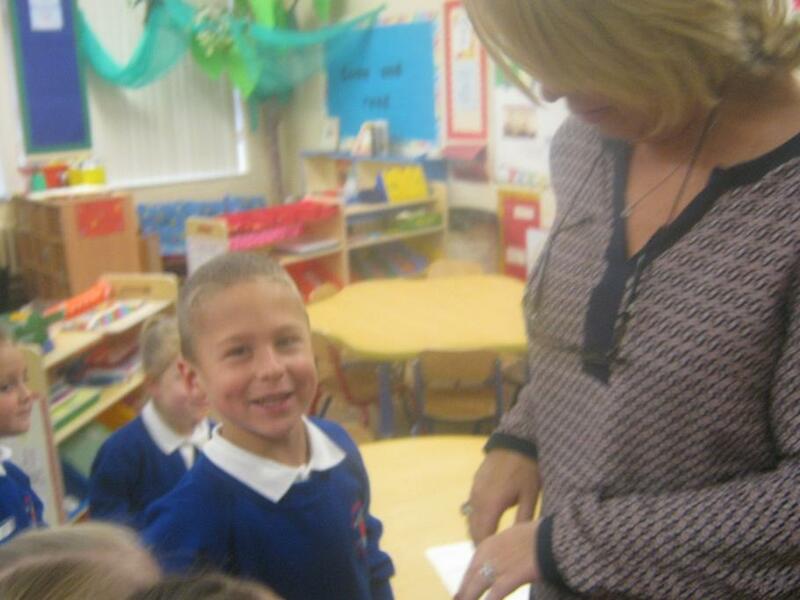 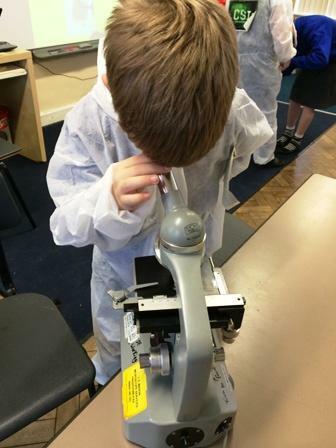 Year 2 – Perform and observe a simple PH paper test on blood samples. 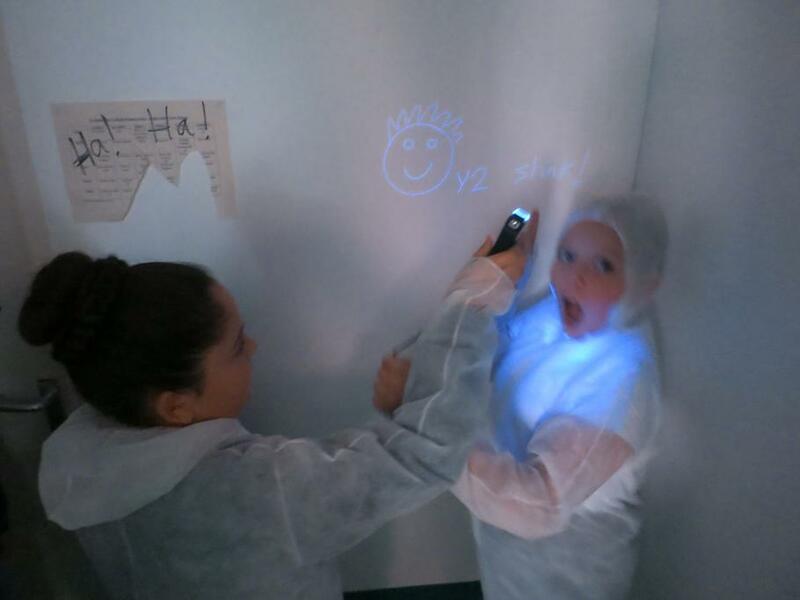 Examine mystery UV light messages! 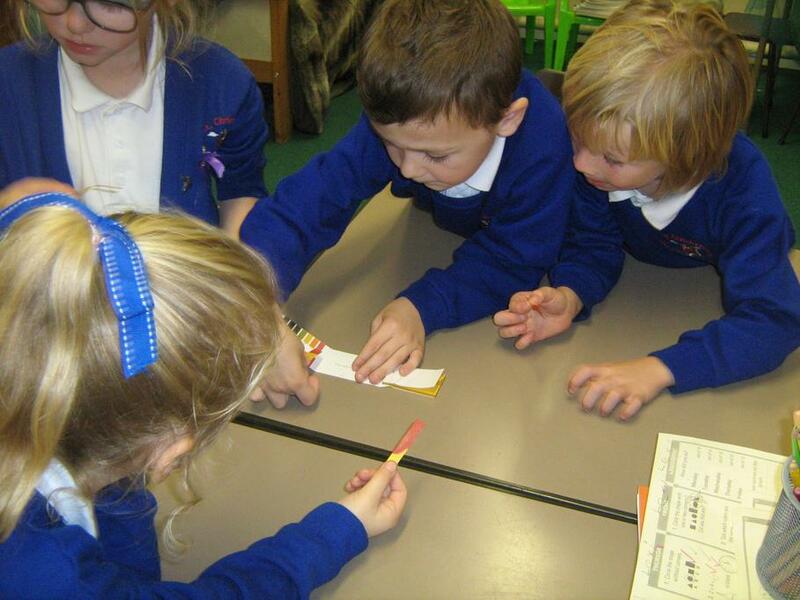 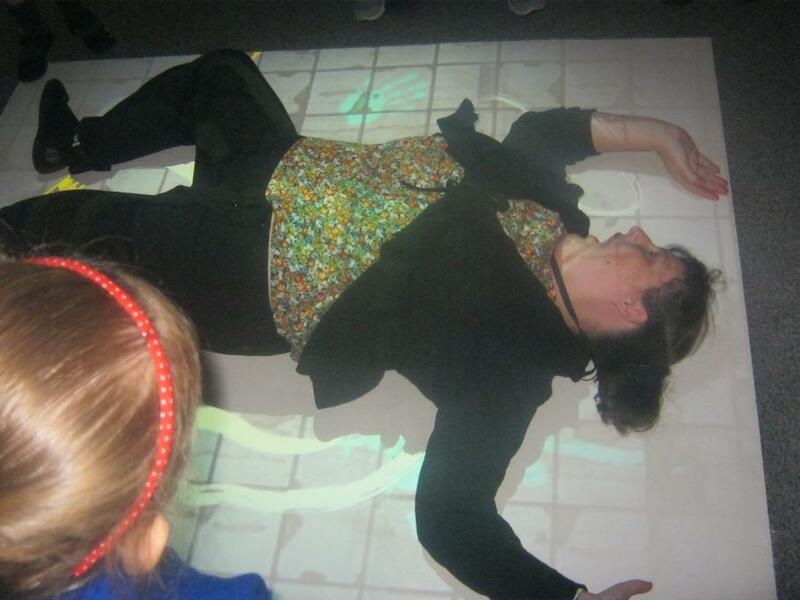 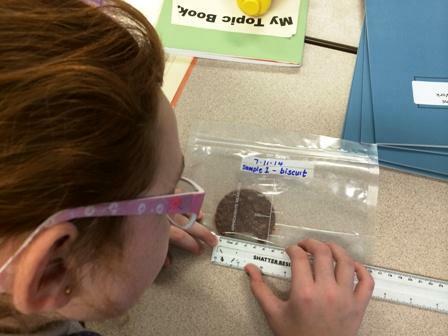 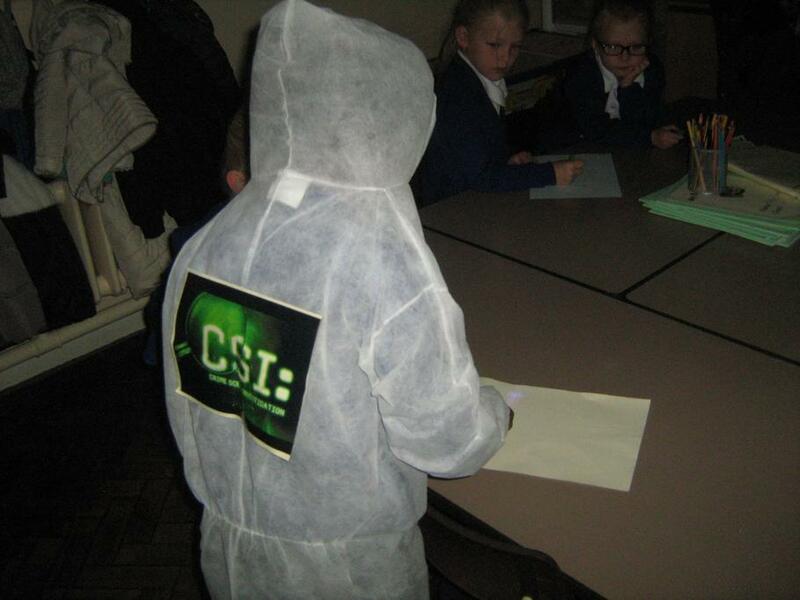 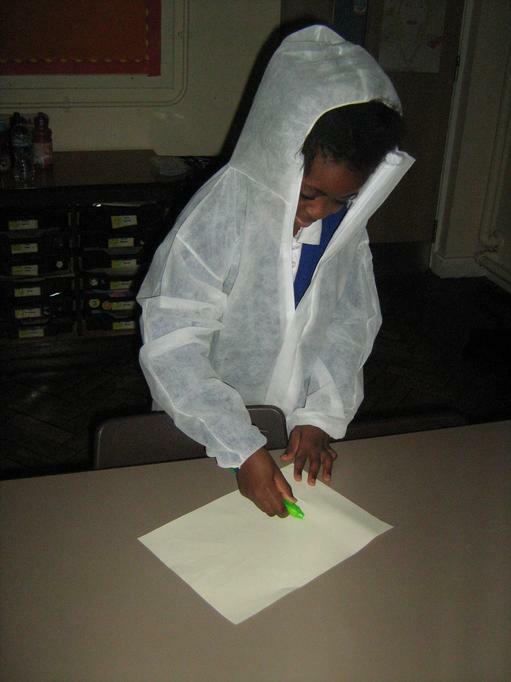 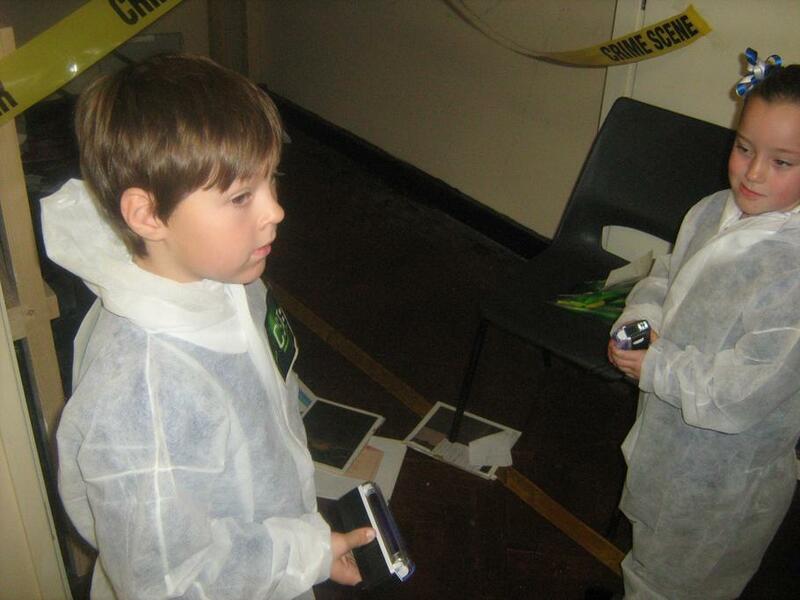 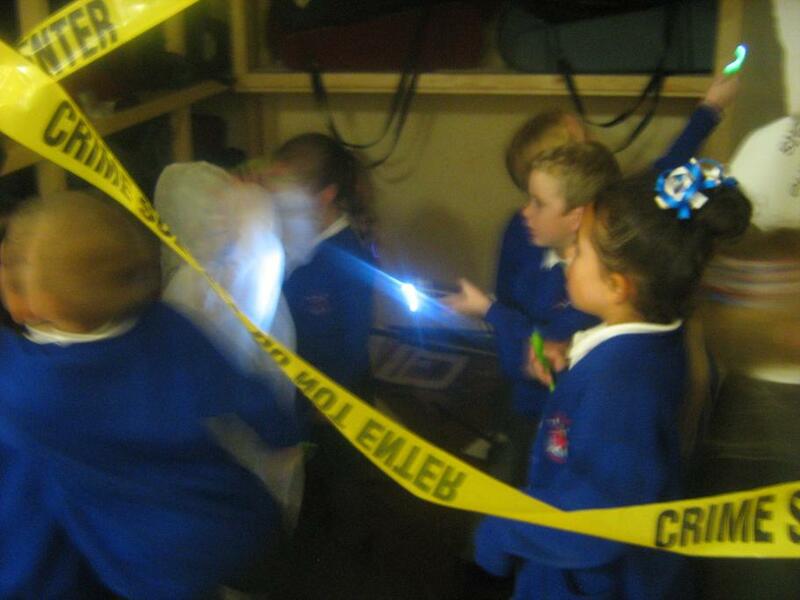 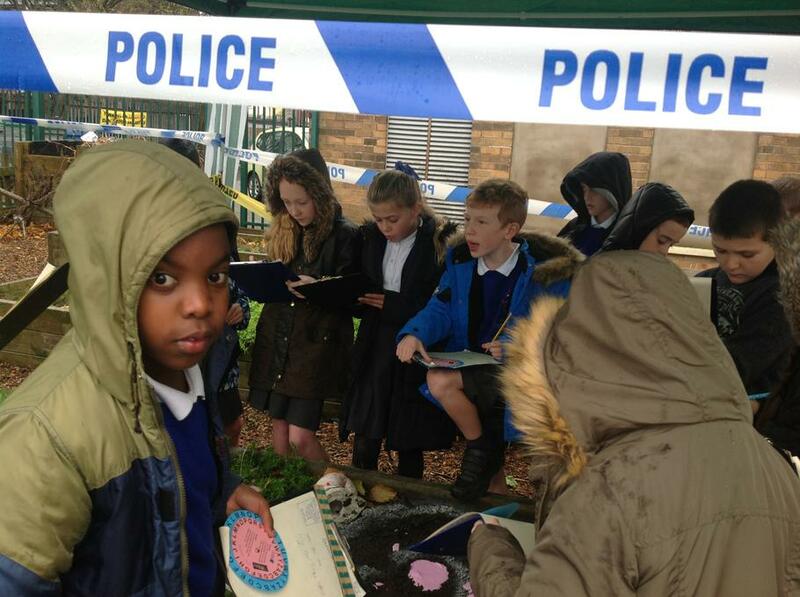 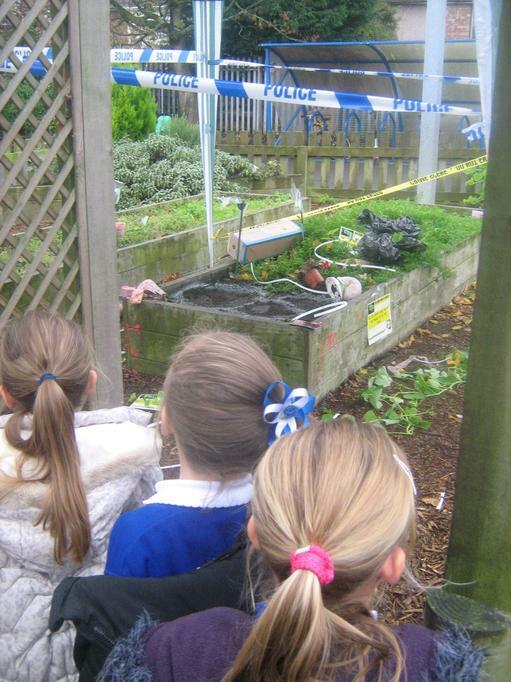 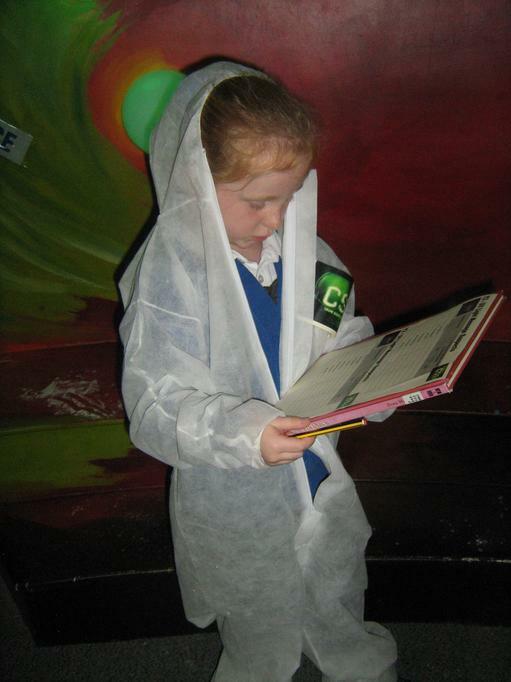 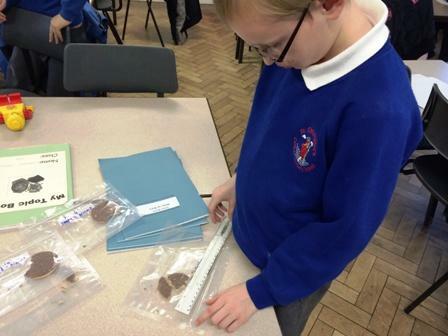 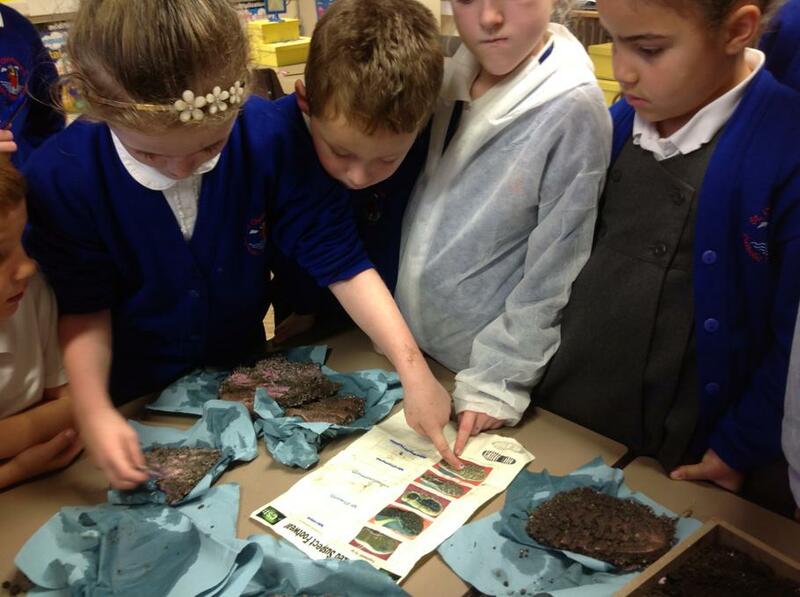 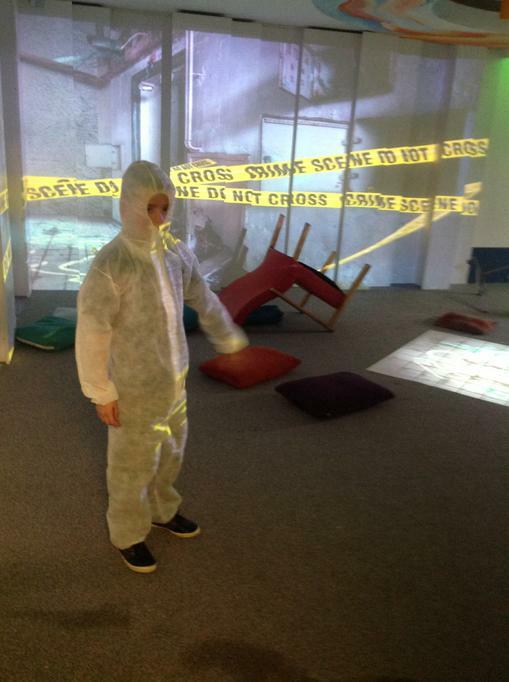 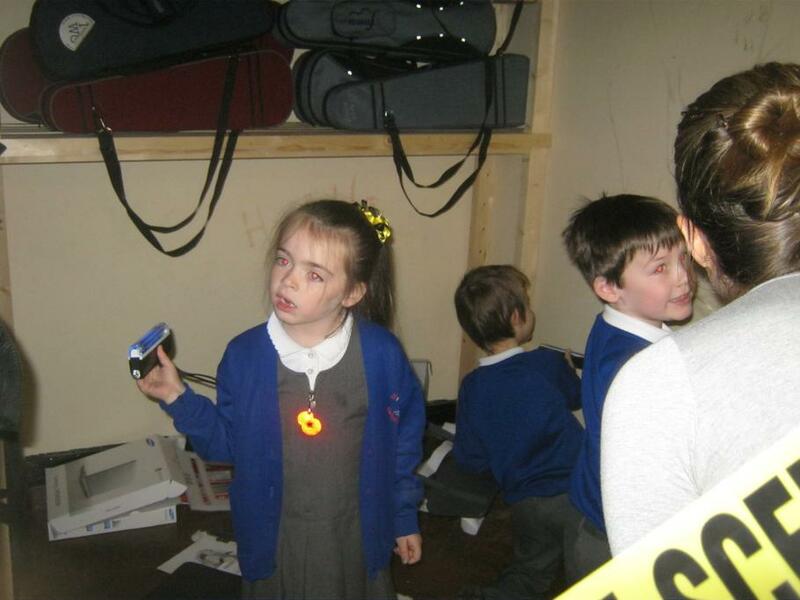 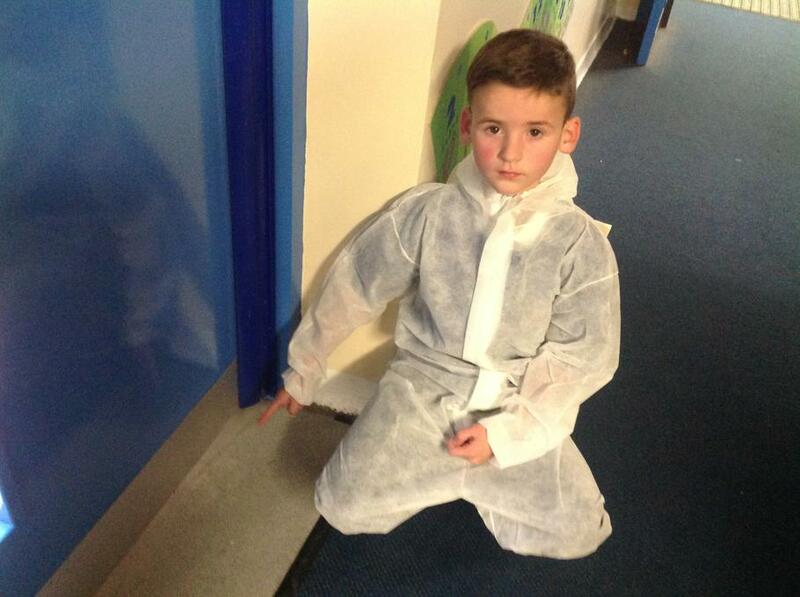 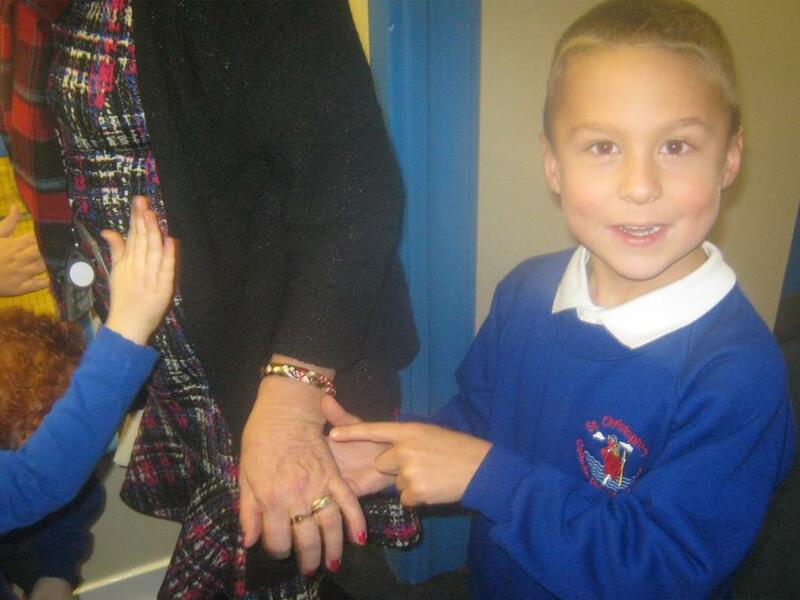 Year 3 – Compare and identify crime scene materials (magnetic and non-magnetic). 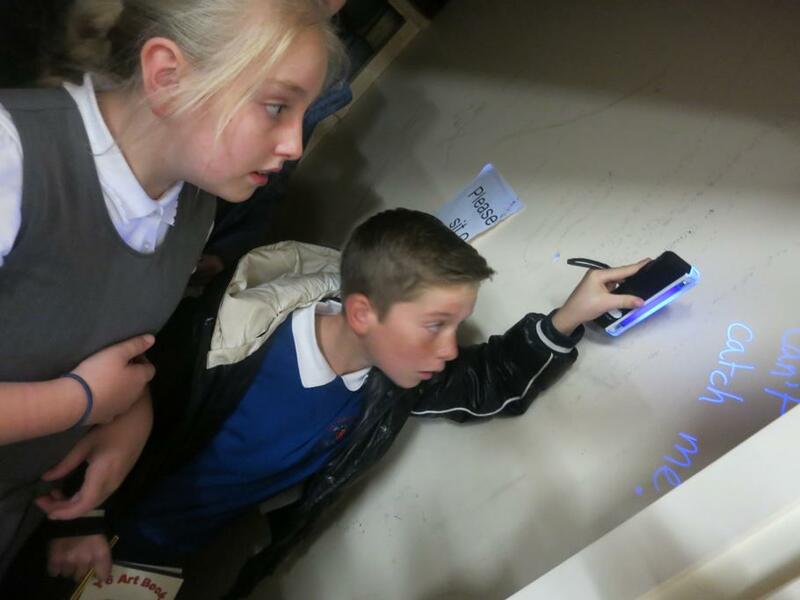 Observe and compare footprint patterns including casting of a class print mould. 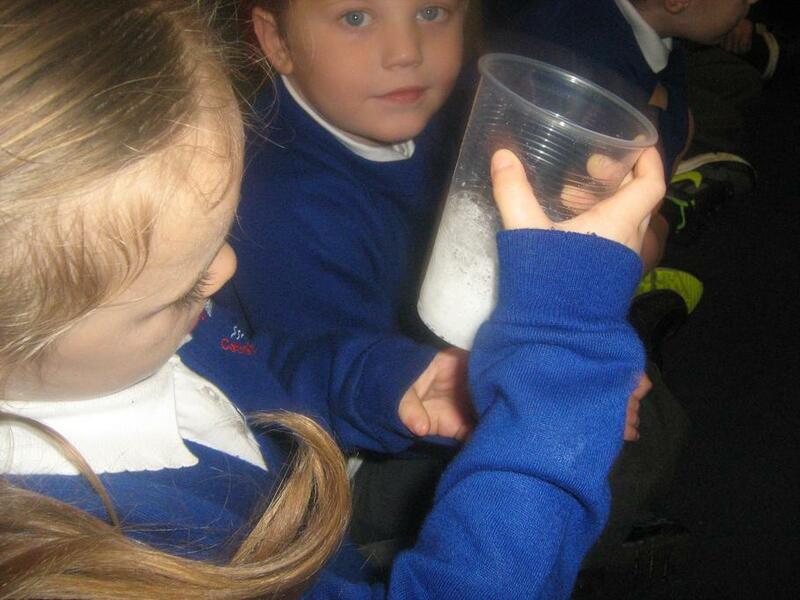 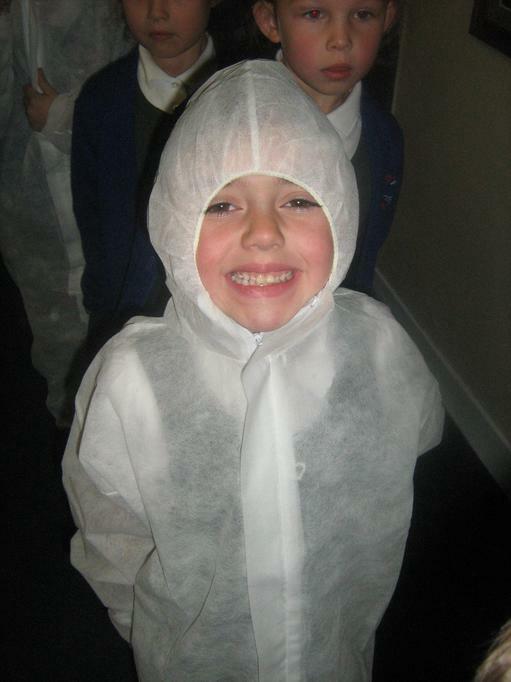 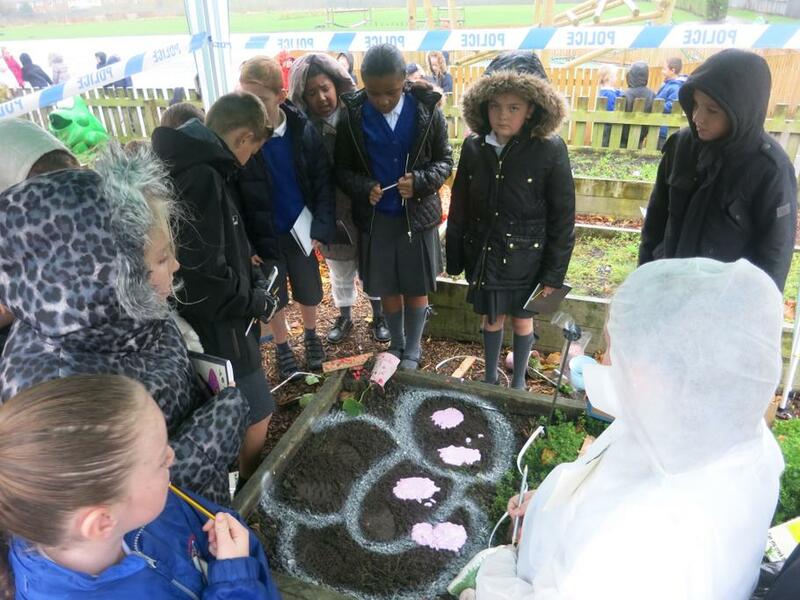 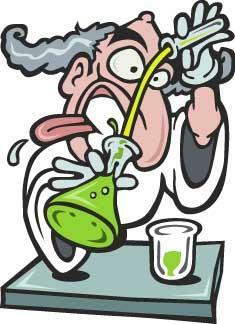 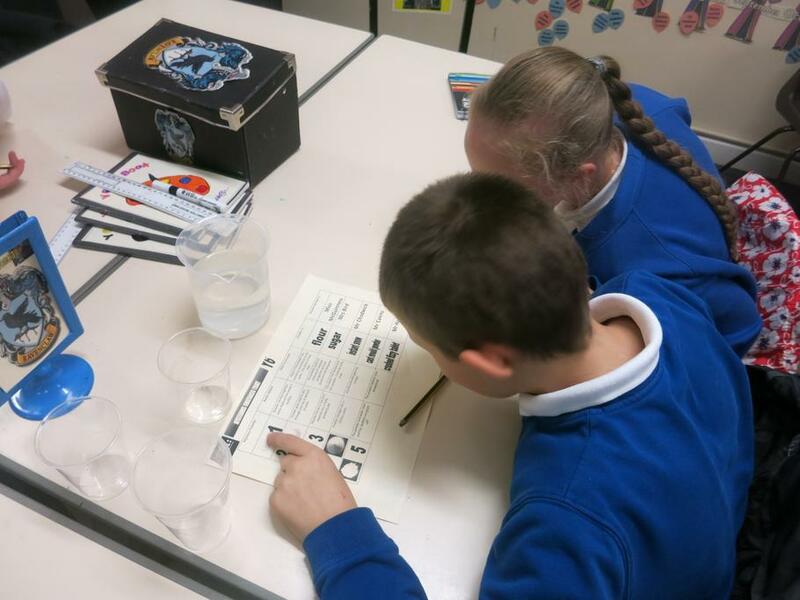 Year 4 – Compare solid powder reactions – has a liquid, solid or solution (mixture) formed? 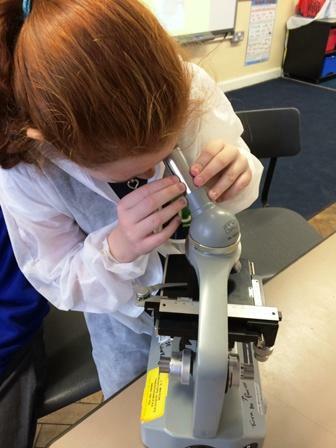 To make detailed observations via a microscope. 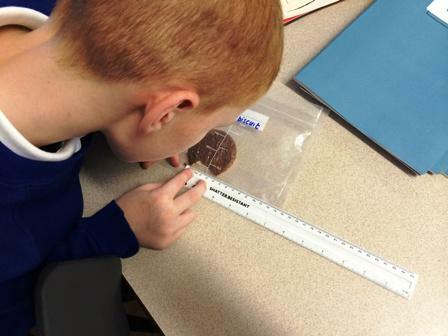 Observe and examine bite mark sizes in crime scene food. 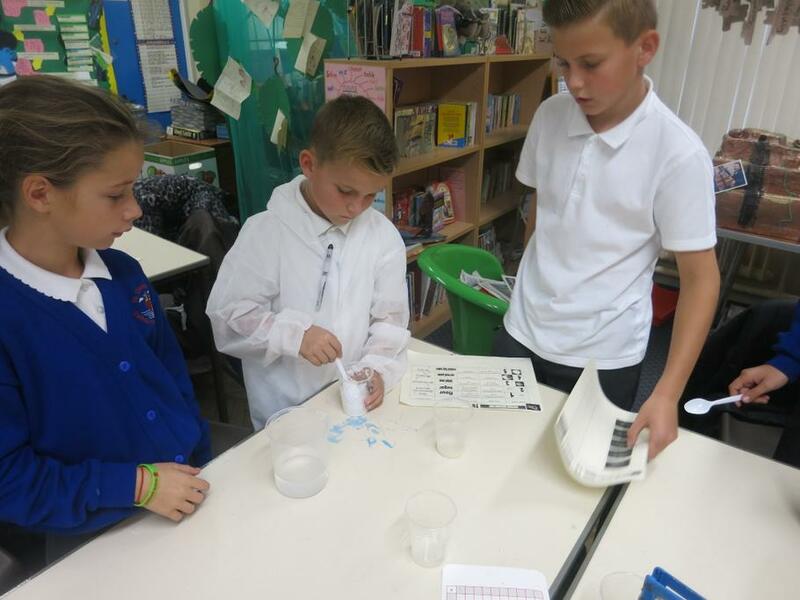 Year 5 – Use chromatography to identify ink changes (reversible changes). 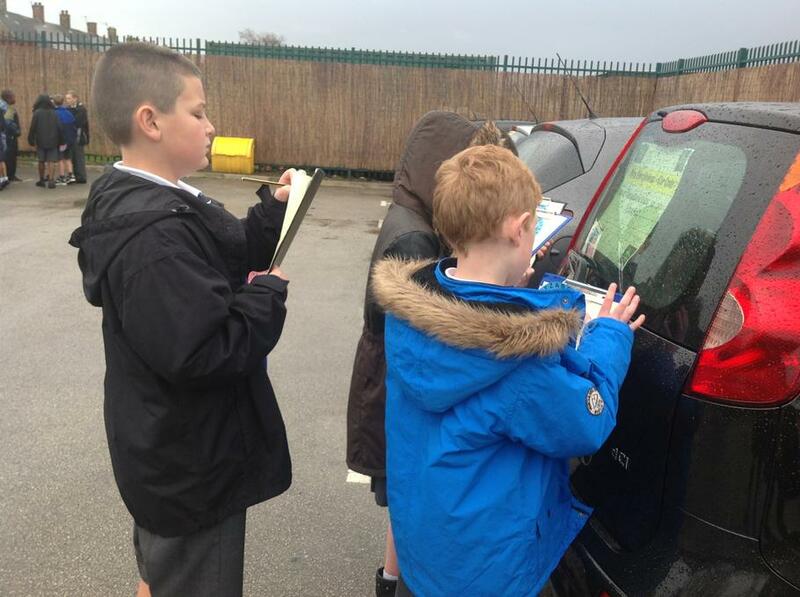 Crack car park mystery codes! 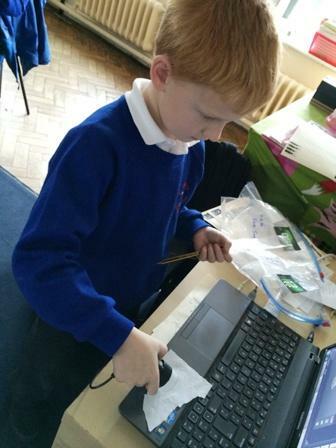 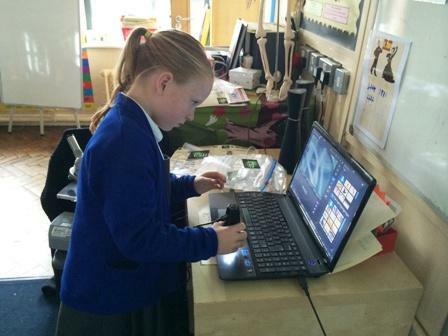 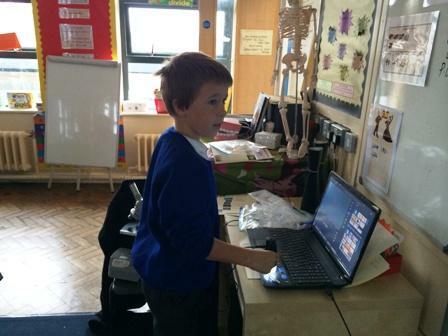 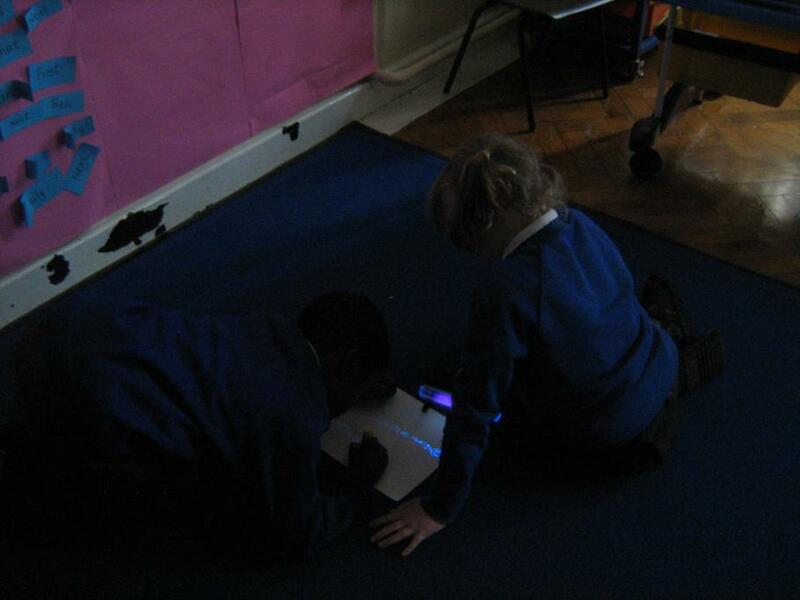 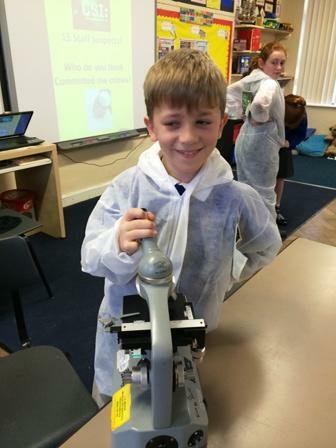 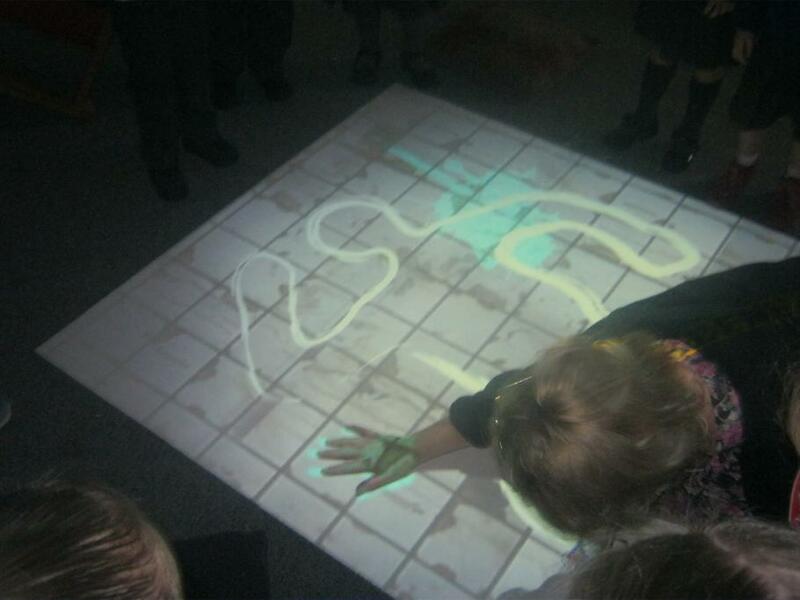 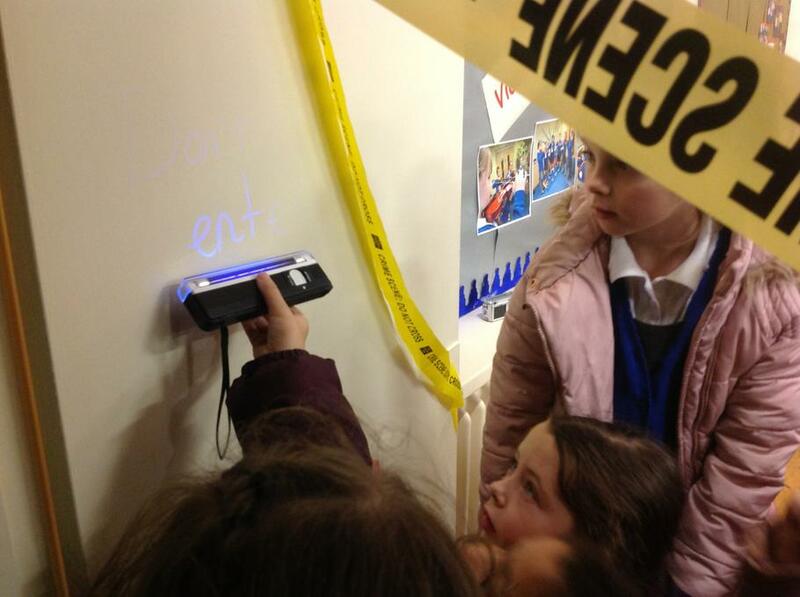 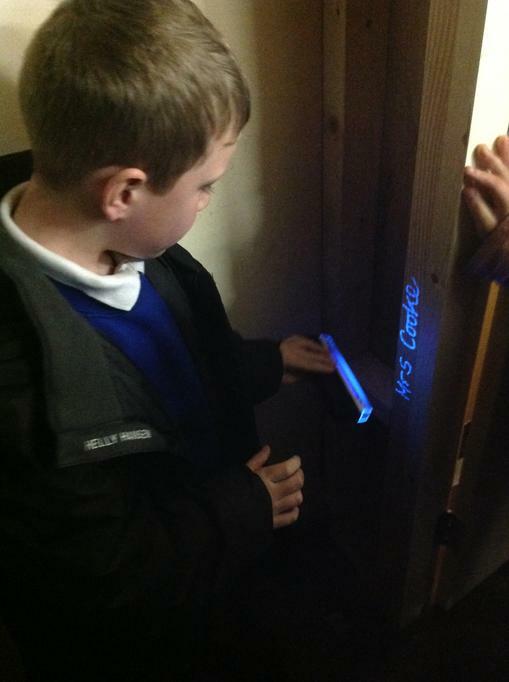 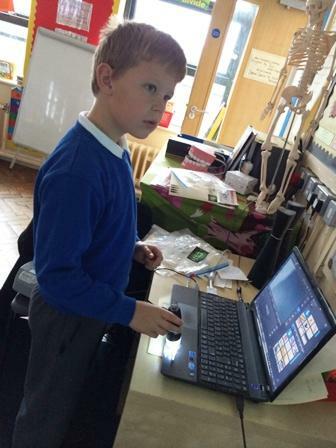 Year 6 – Take accurate and precise fingerprint measurements using scientific equipment. 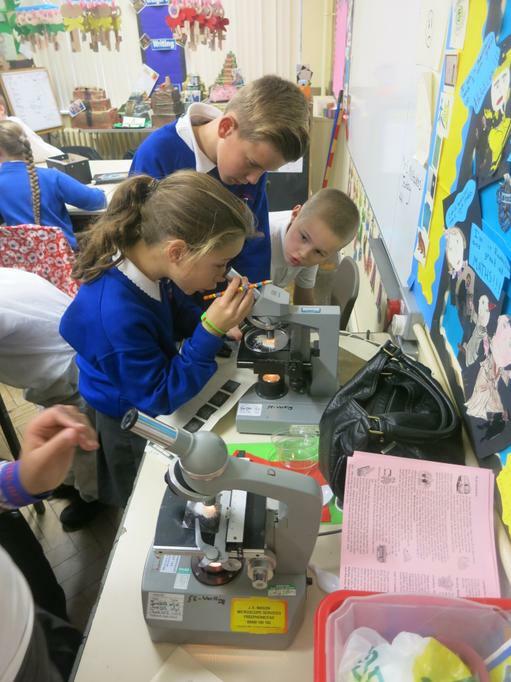 To make detailed observations via a microscope of mystery powders. 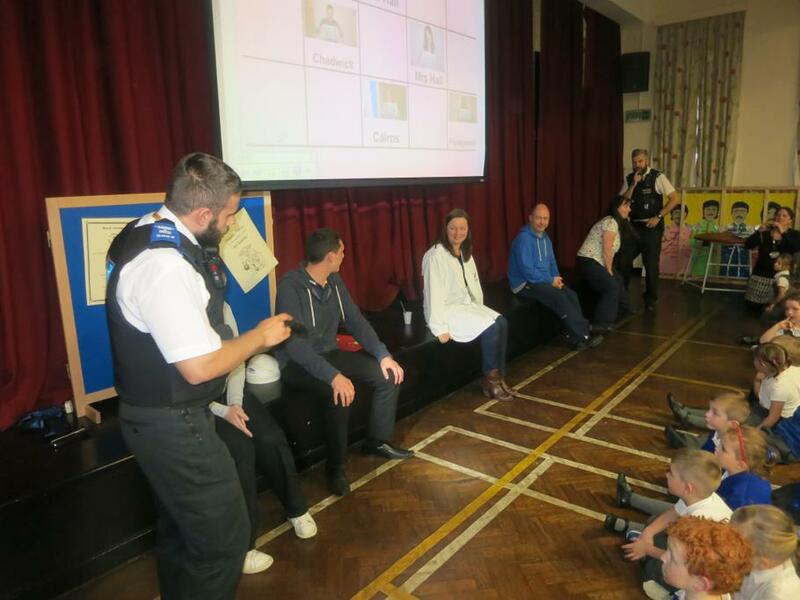 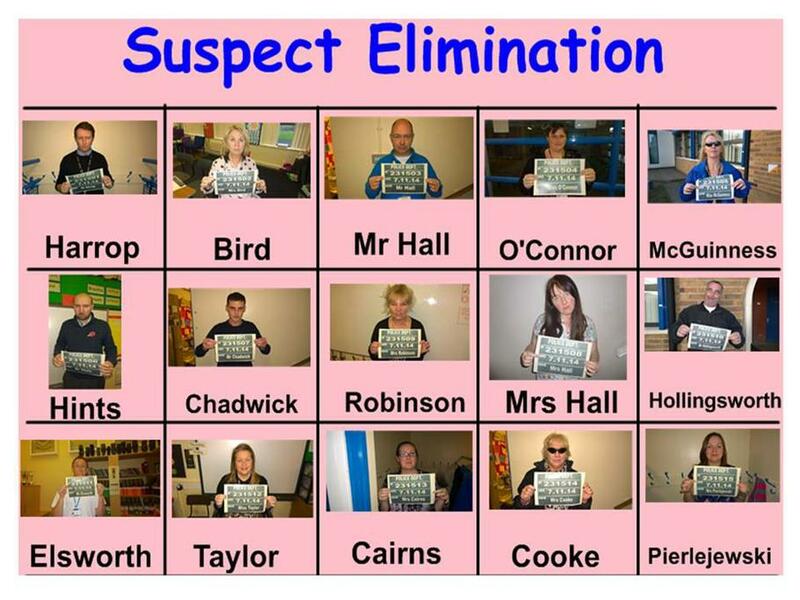 Thanks to all the children's super investigative skills innocent teachers were cleared of the crime eventually leaving the final 5 suspects below; Mrs Hall, Mrs Pierlejewski, Mr Chadwick, Mrs Cairns and Mr Hall. 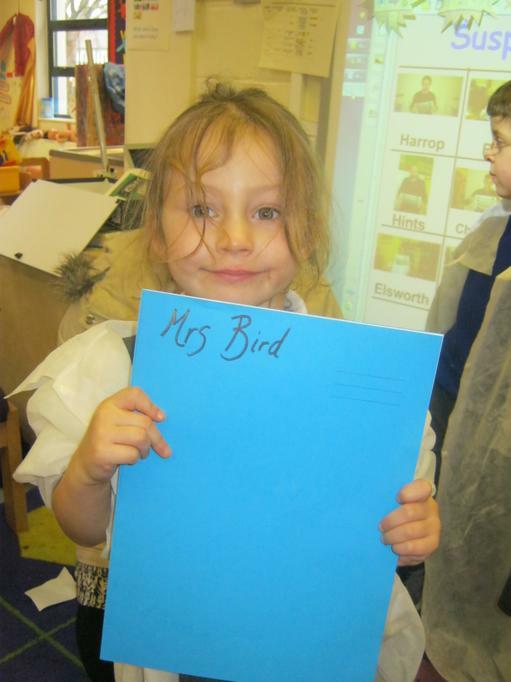 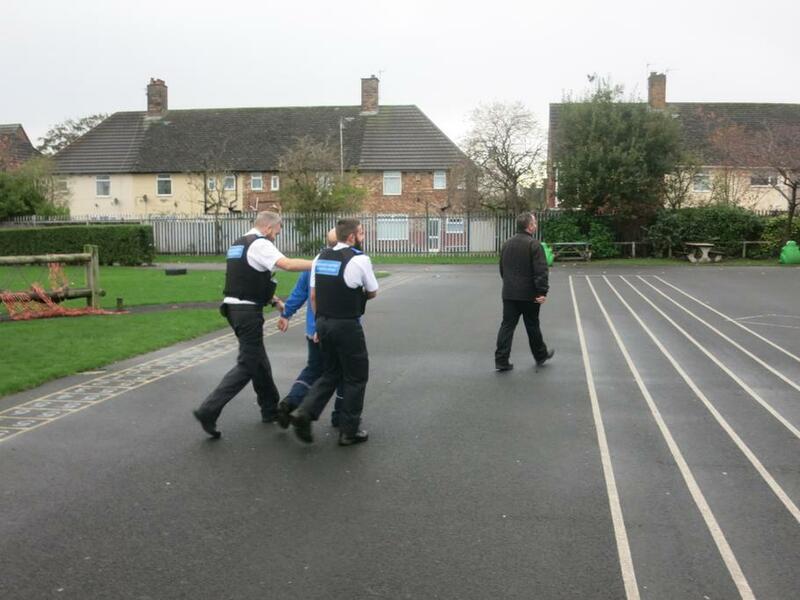 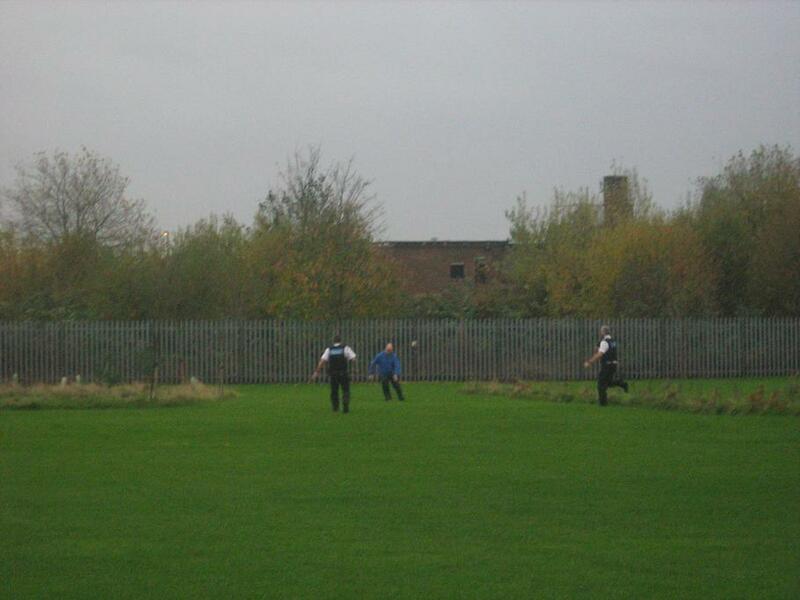 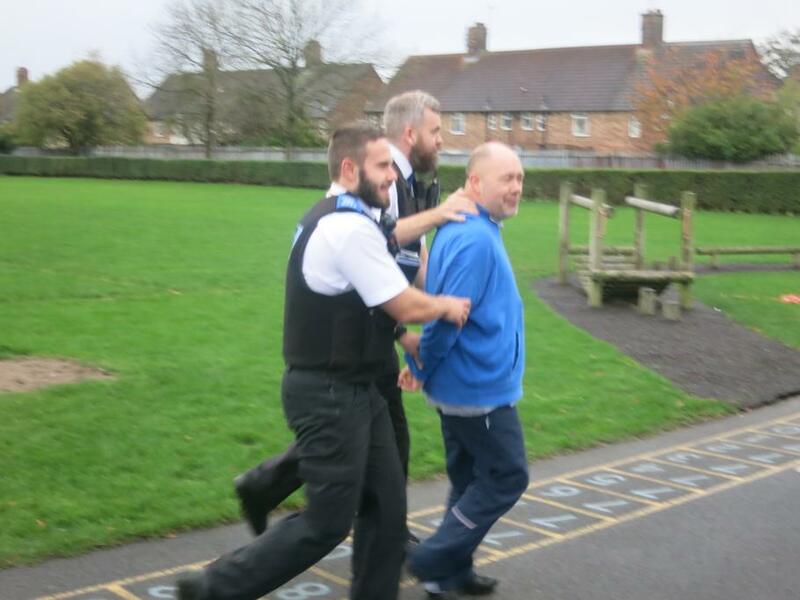 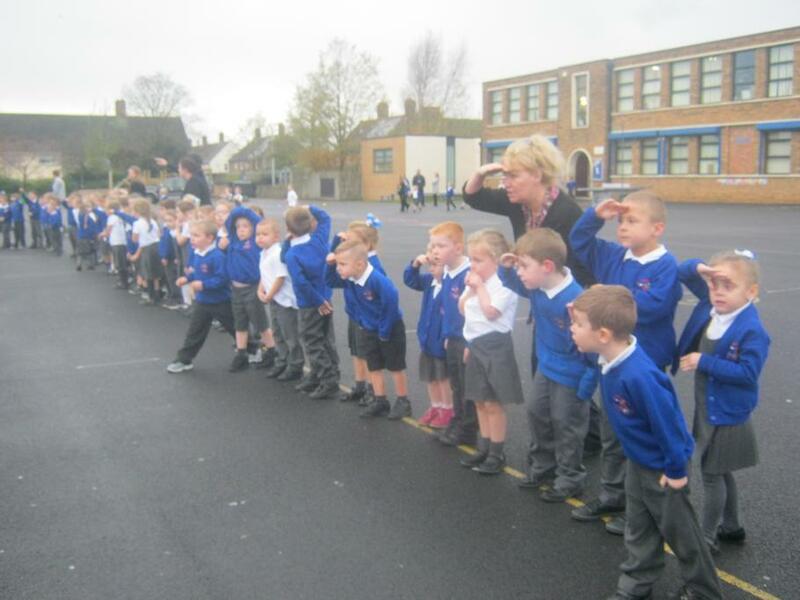 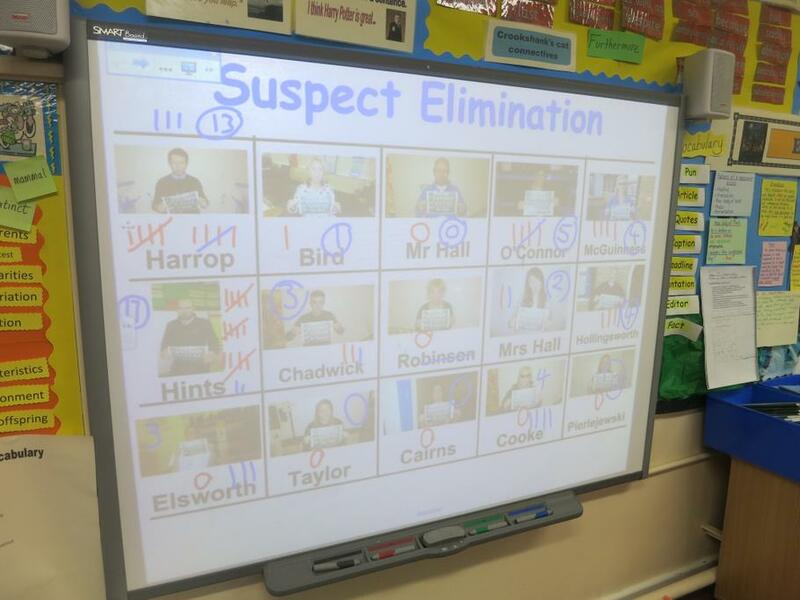 All the collated evidence incriminated Mr Hall who even tried to escape across the school field from the police officers who eventually captured the guilty suspect! 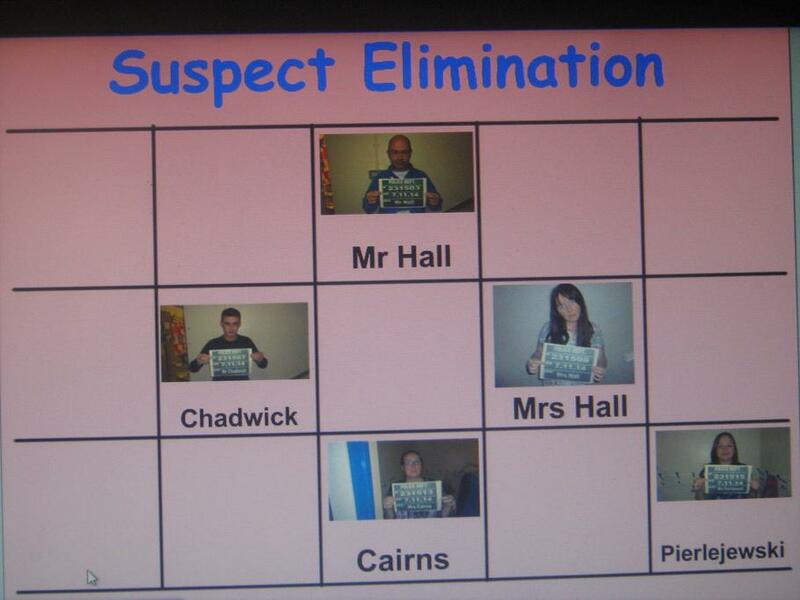 Well done to all for solving the crime! 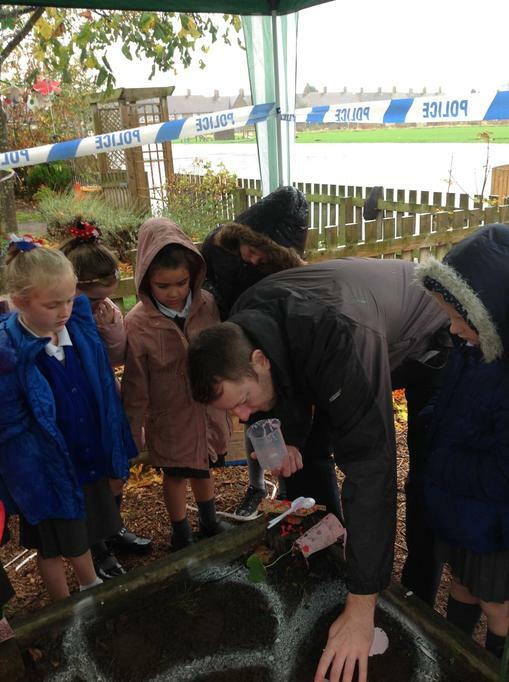 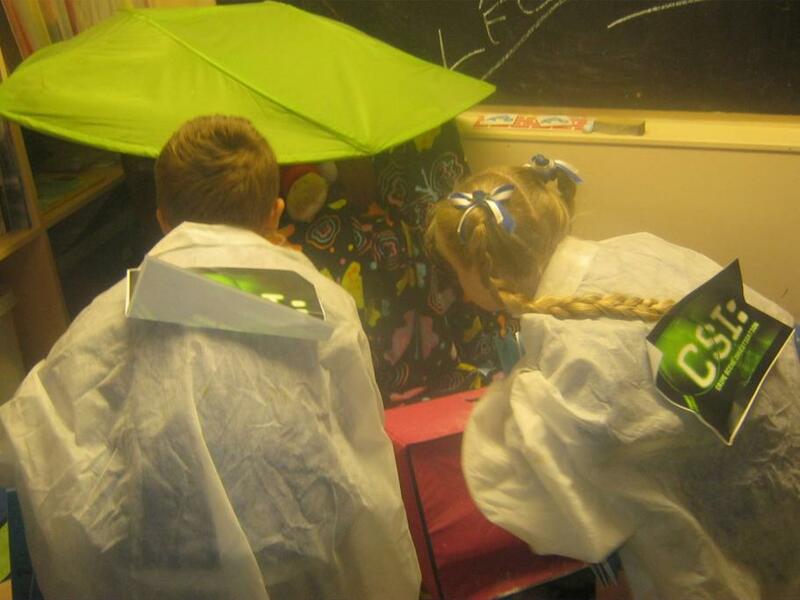 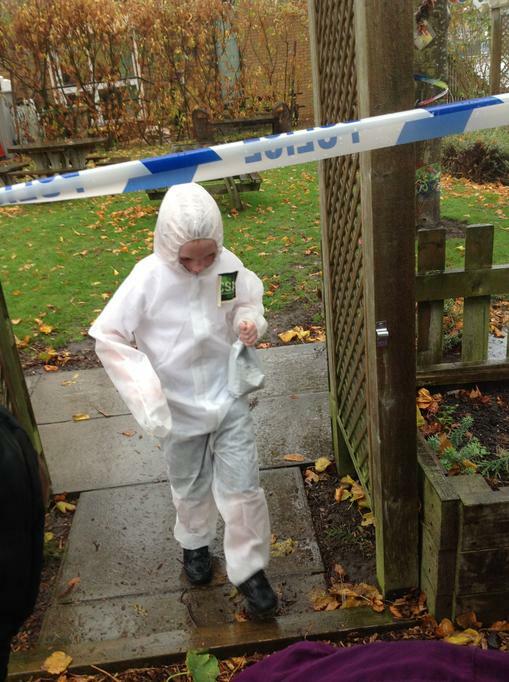 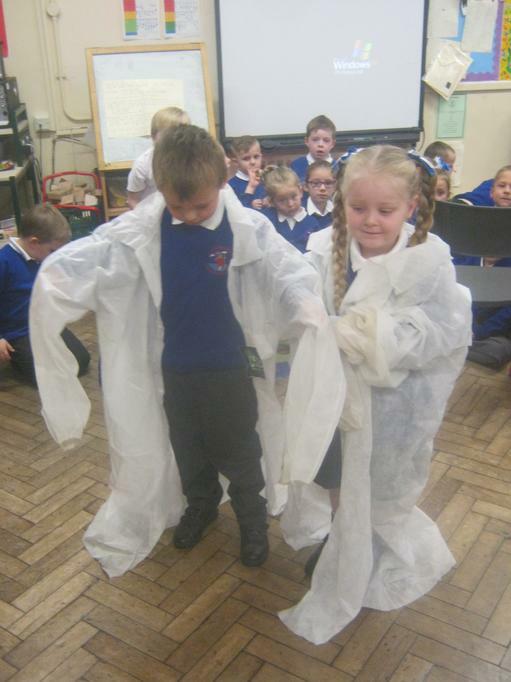 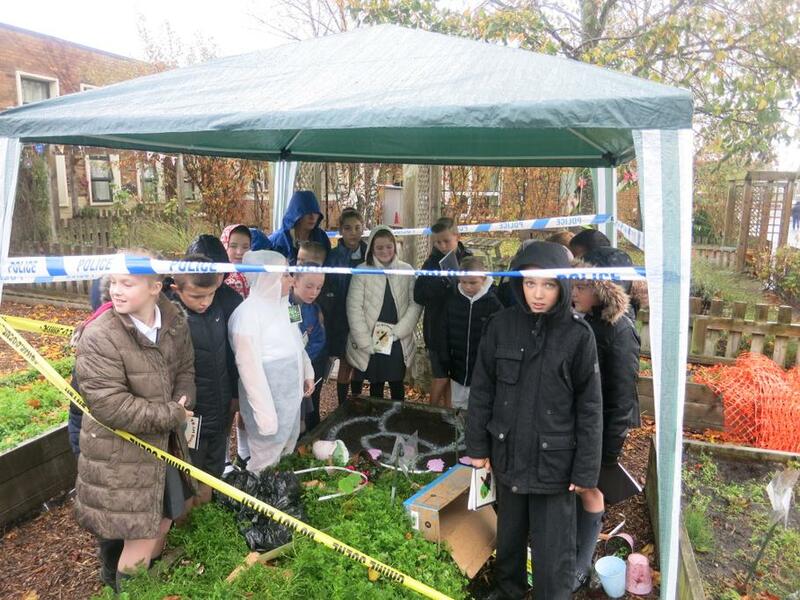 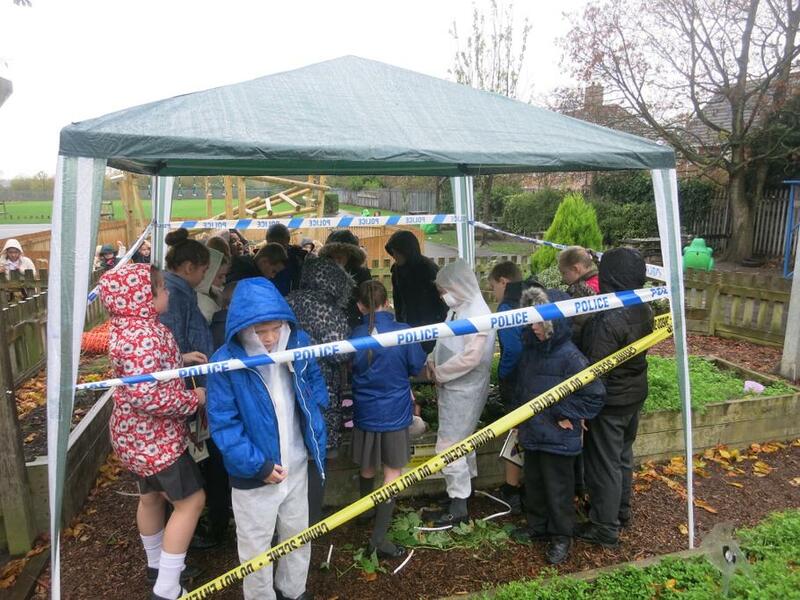 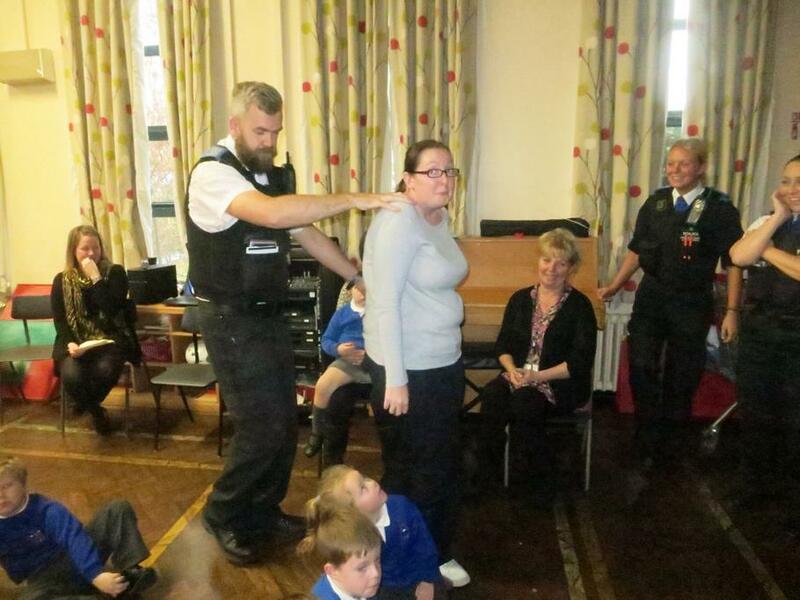 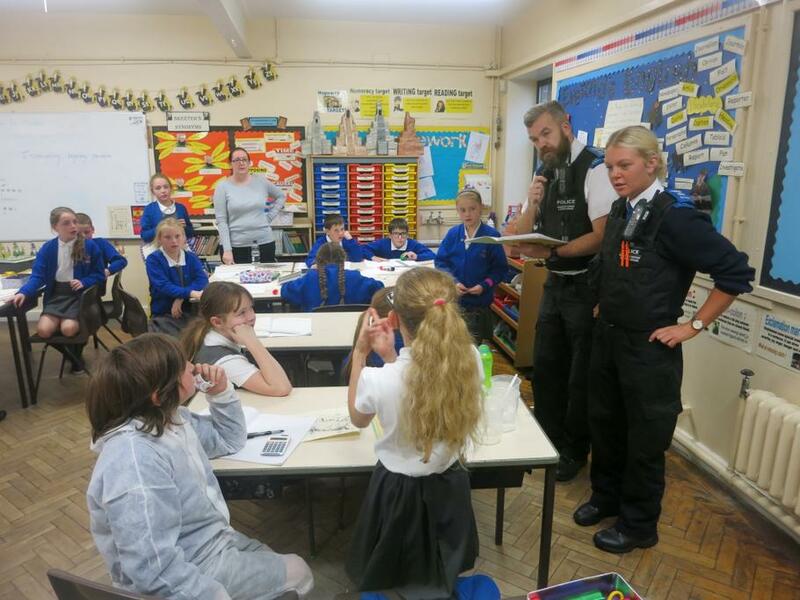 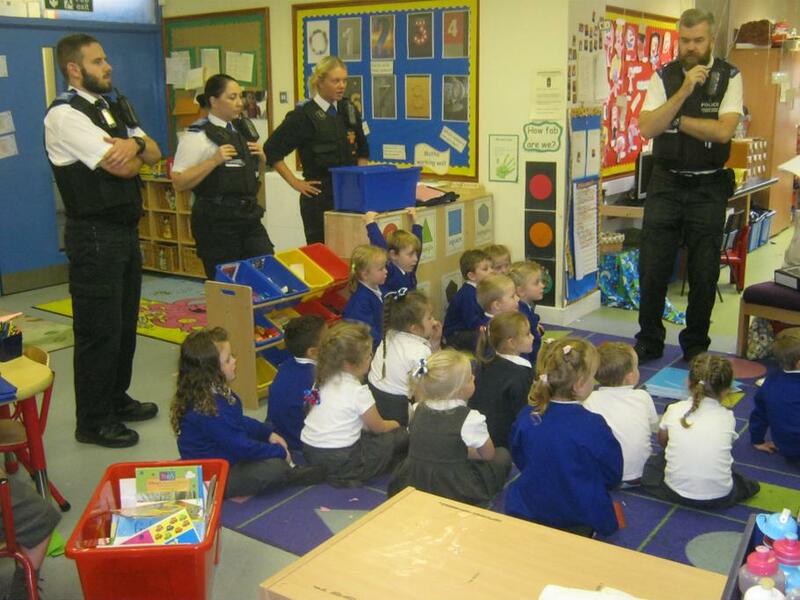 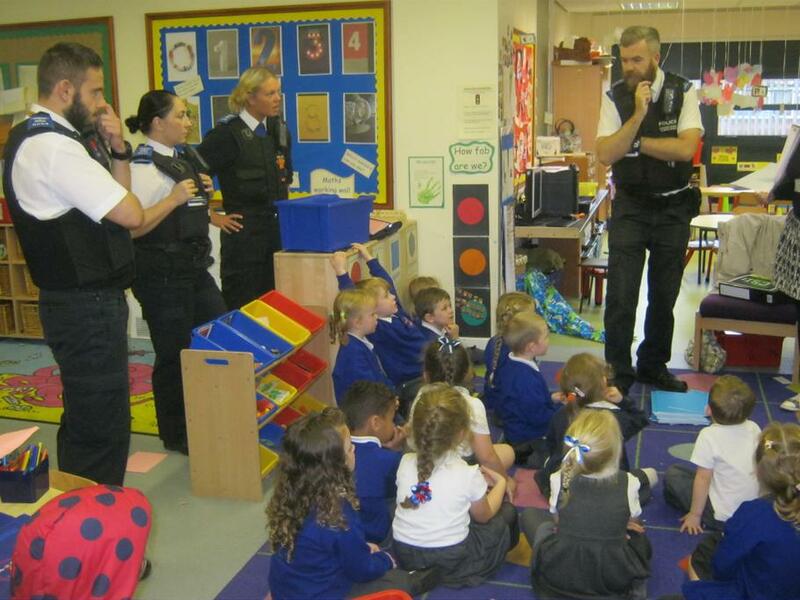 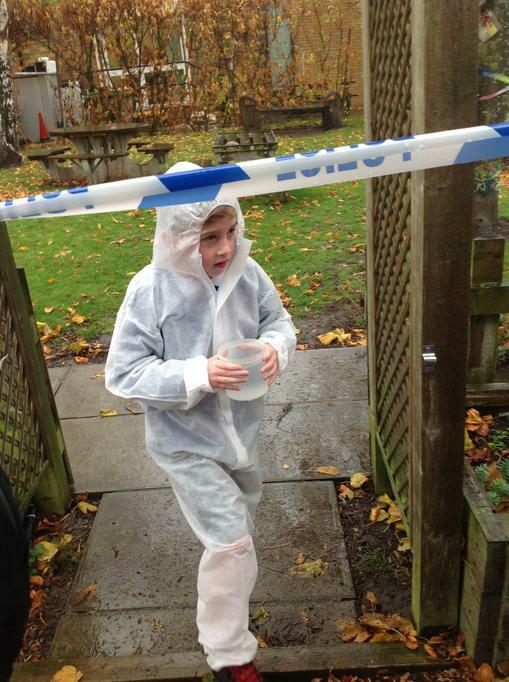 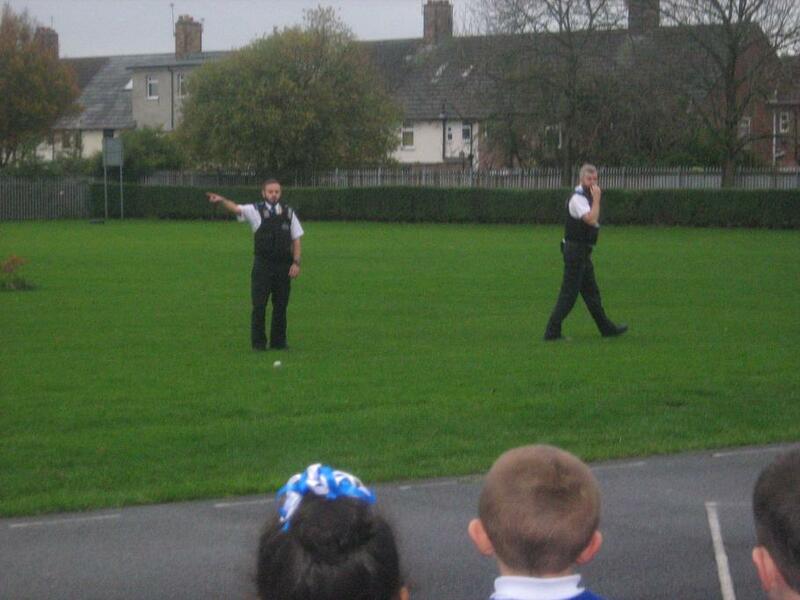 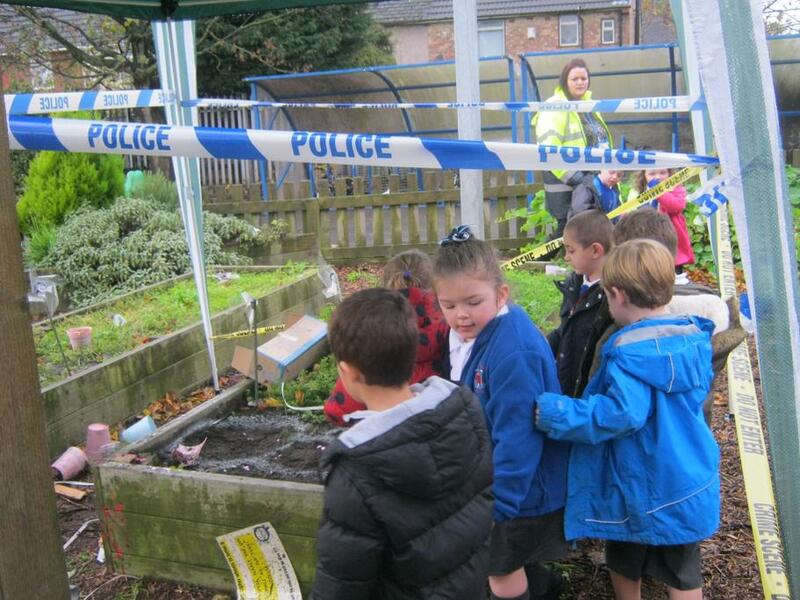 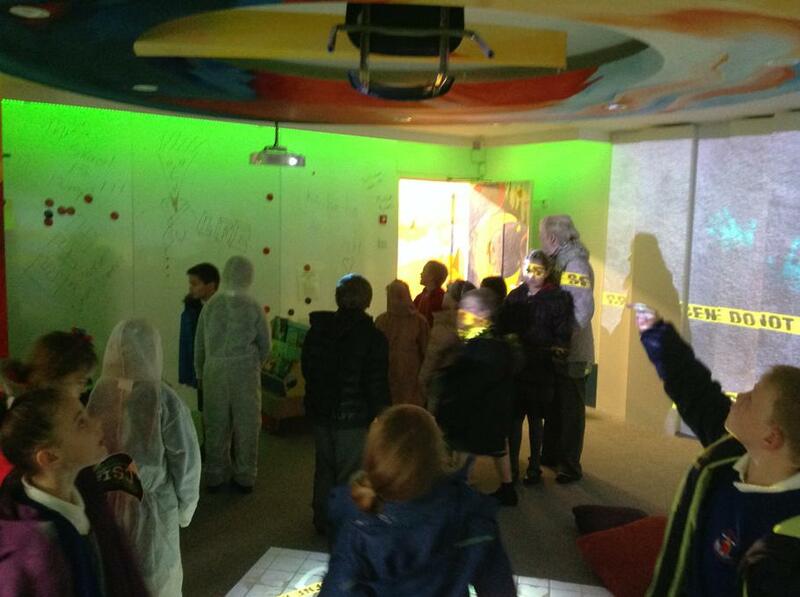 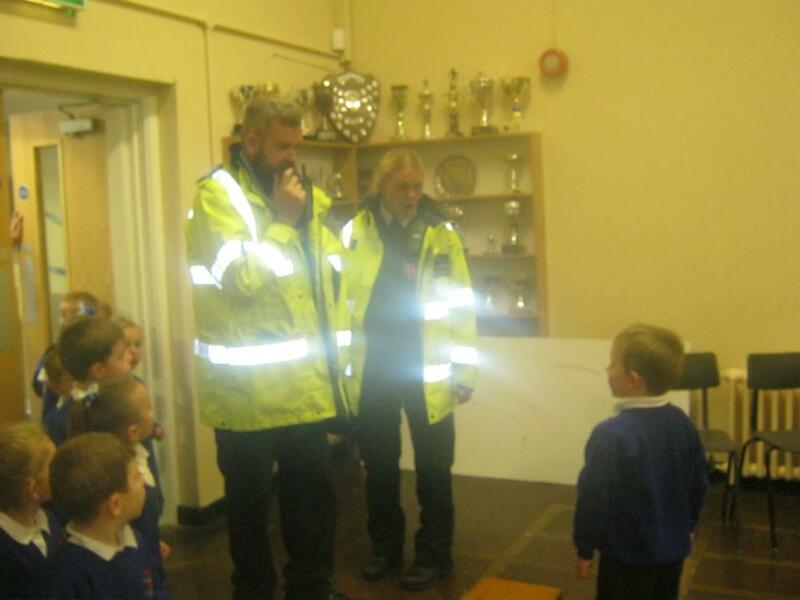 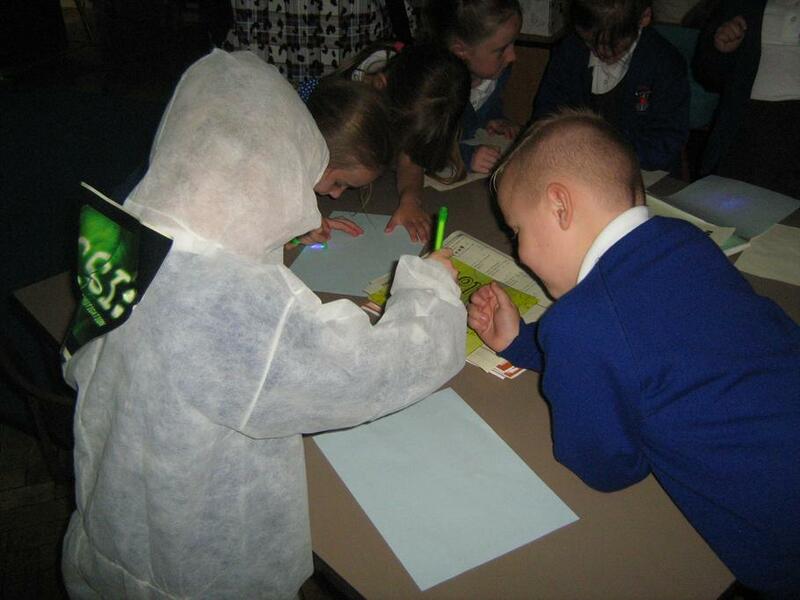 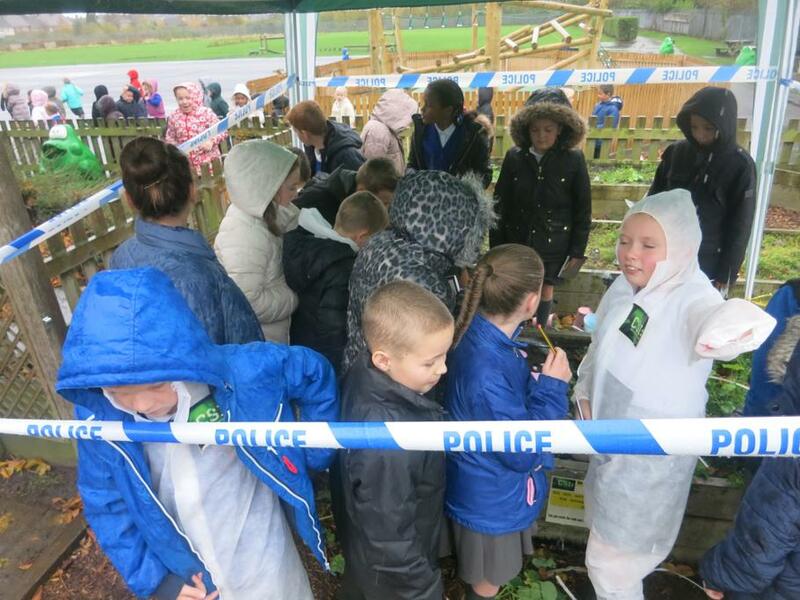 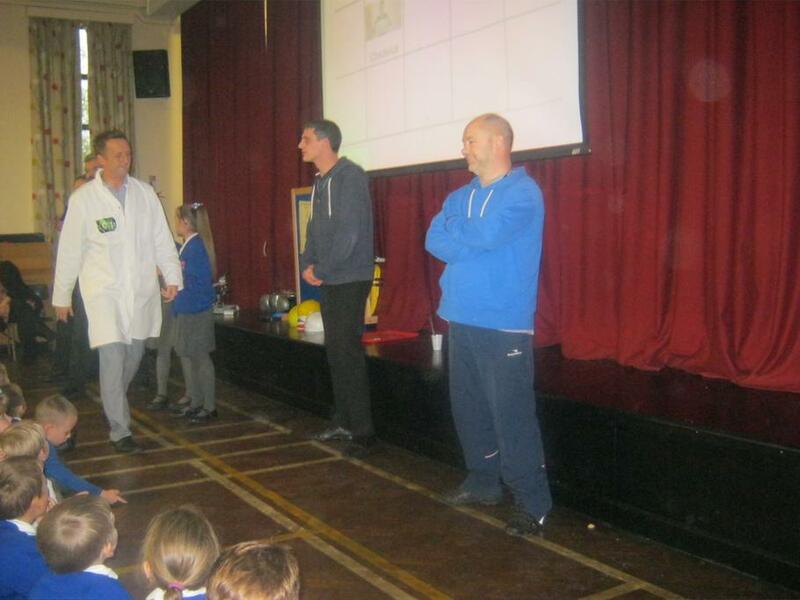 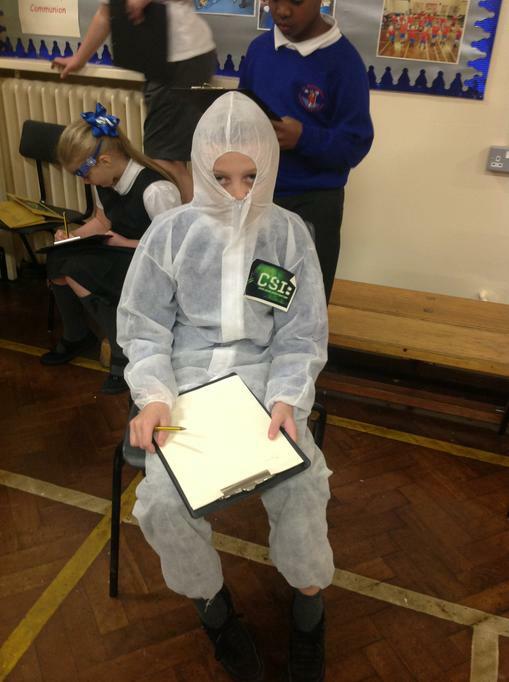 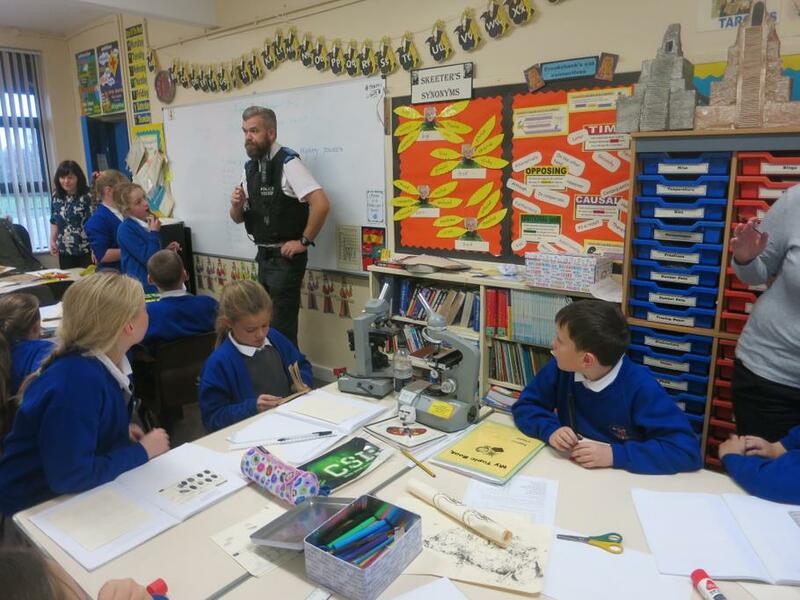 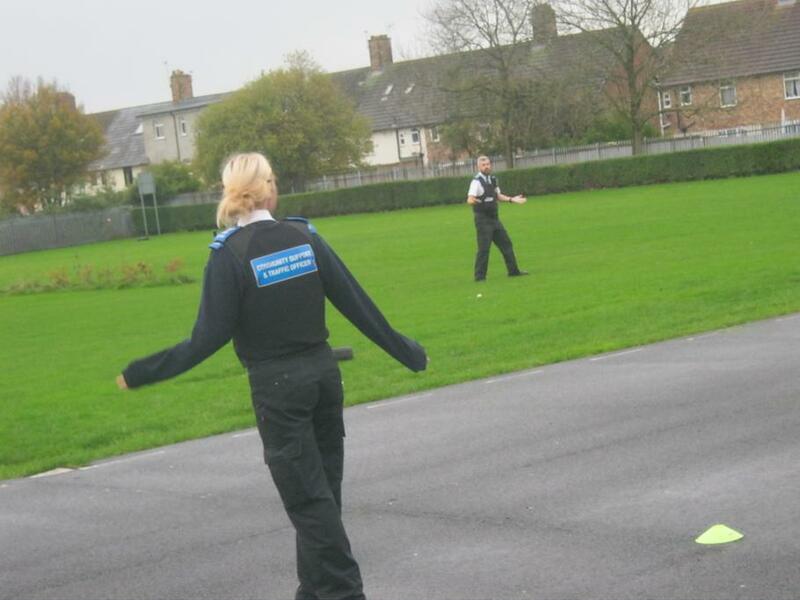 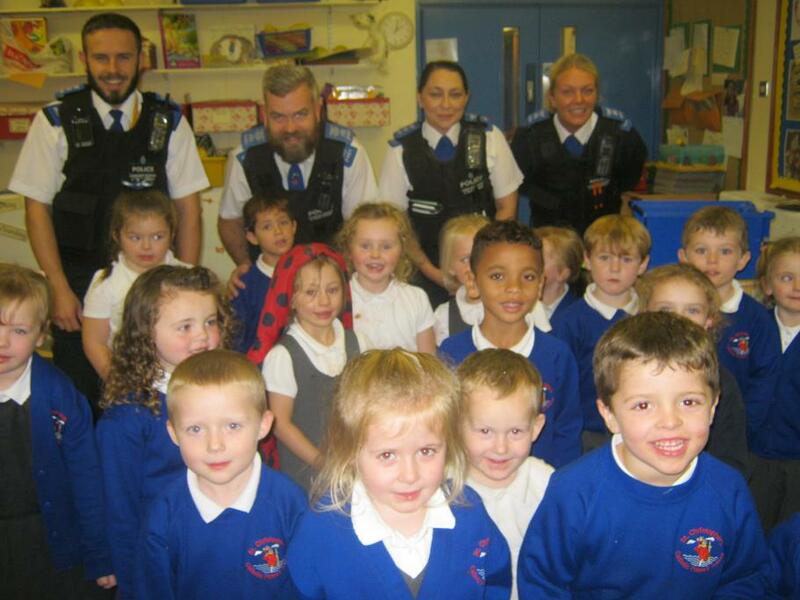 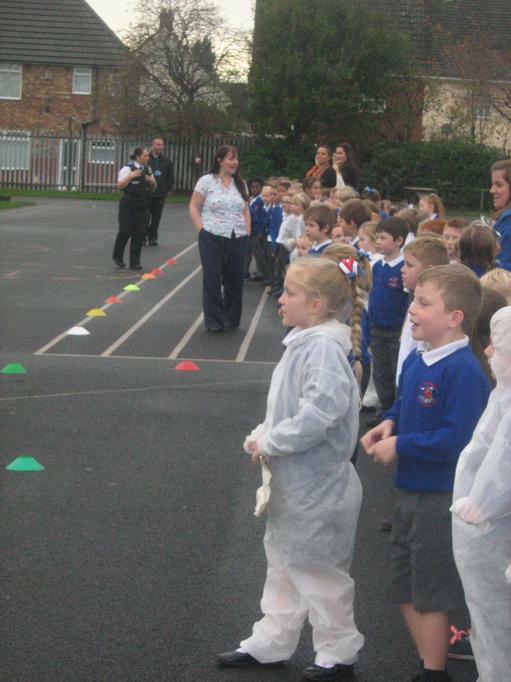 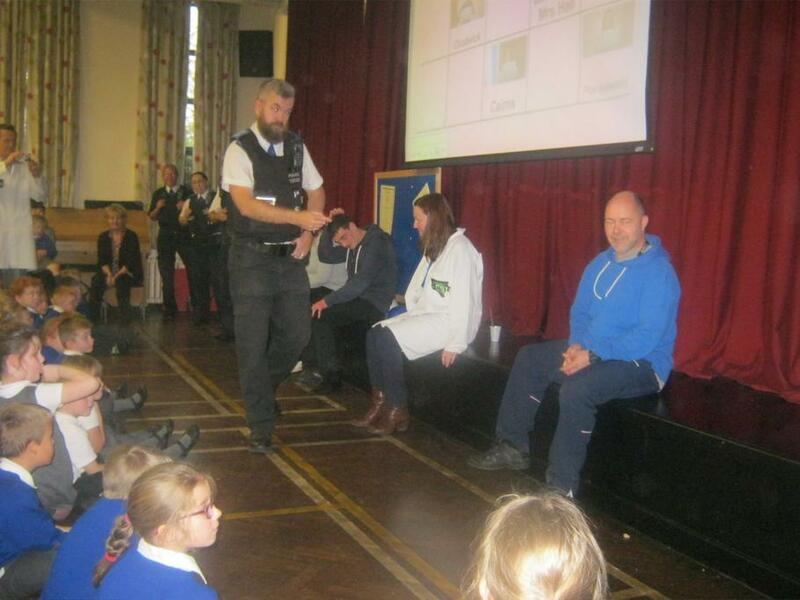 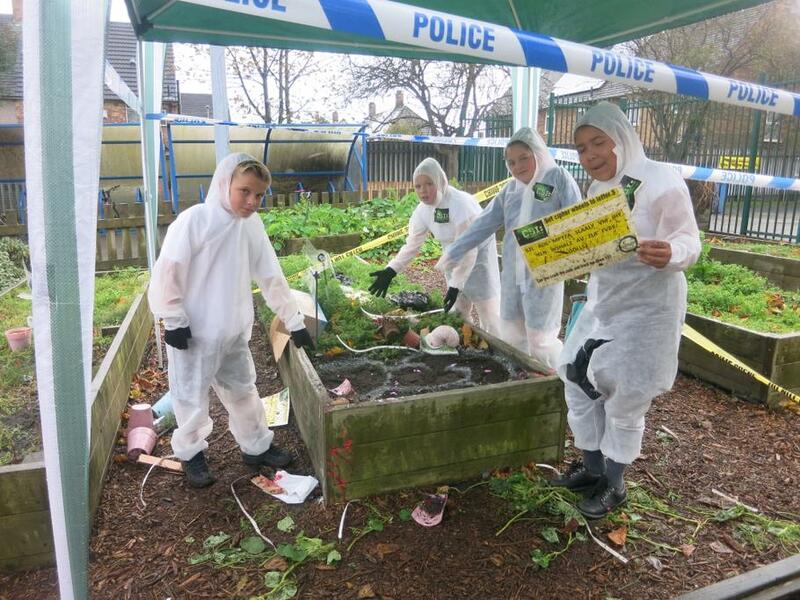 A big thank you to PCs Paul and Sophie for their help and involvement during our Science CSI day. 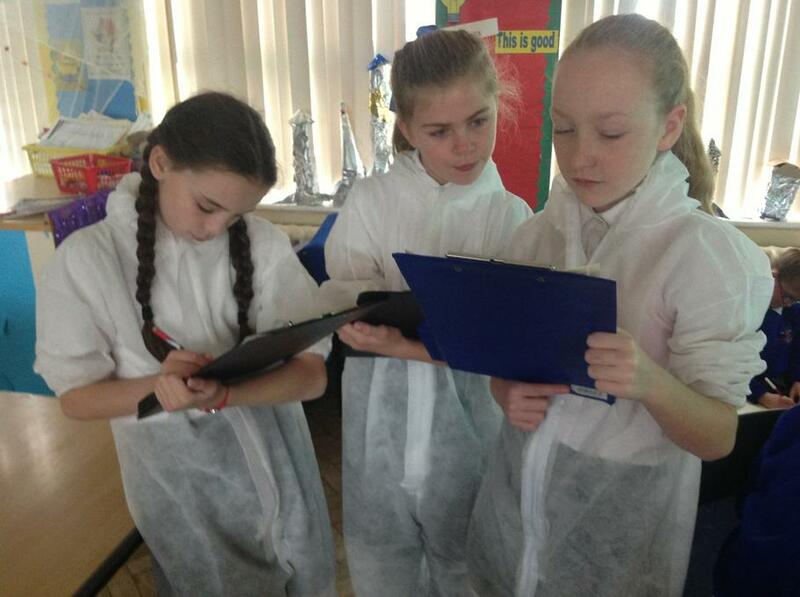 Thanks for looking at our Science page.